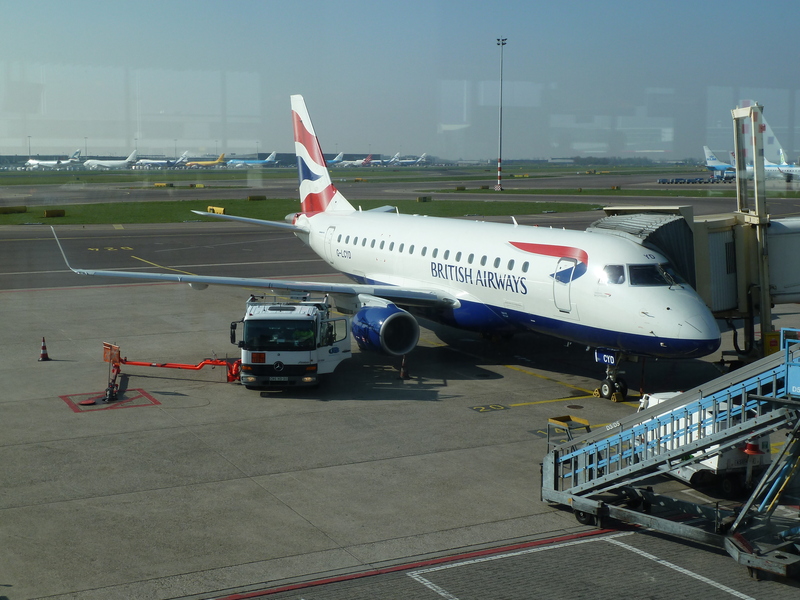 The Speedbird is the call sign of British Airways. The Speedbird emblem made its first appearance in commercial aviation as early as 1932, when it adorned the fleet of aircraft of Imperial Airways – aircraft with majestic sounding names, such as the Handley-Page Hermes, the Hannibal or the Victor. 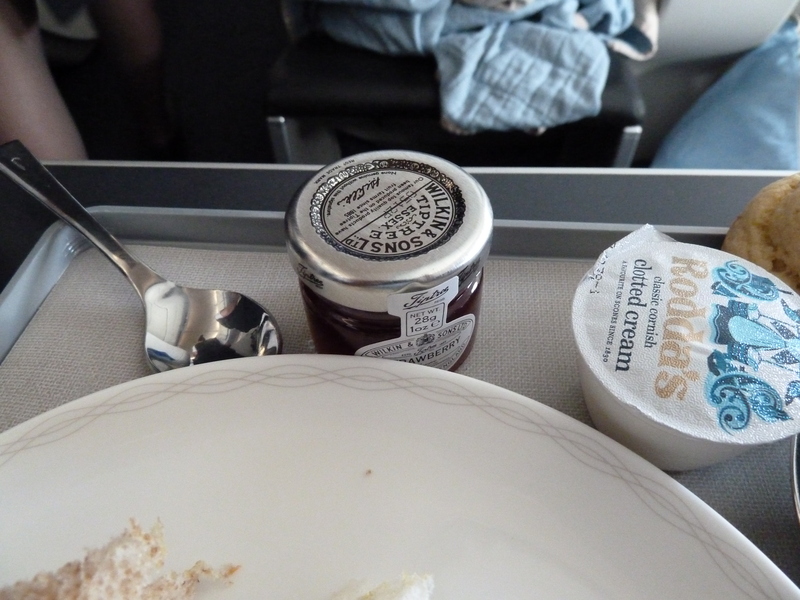 In later years, when Imperial Airways had long been merged into BOAC, the Speedbird really came into its own. It was increased in size and assumed a more prominent position on the tails of the fleet, ablaze in hues of gold against a dramatic black backdrop. And then, many years later still, amidst the turmoil, controversy and scandal that surrounded the introduction of the World Tails, the Speedbird remained the one reliable and dependable constant of the brand identity of the World’s Favourite Airline. Today, eighty years after its inception, the Speedbird still soars. 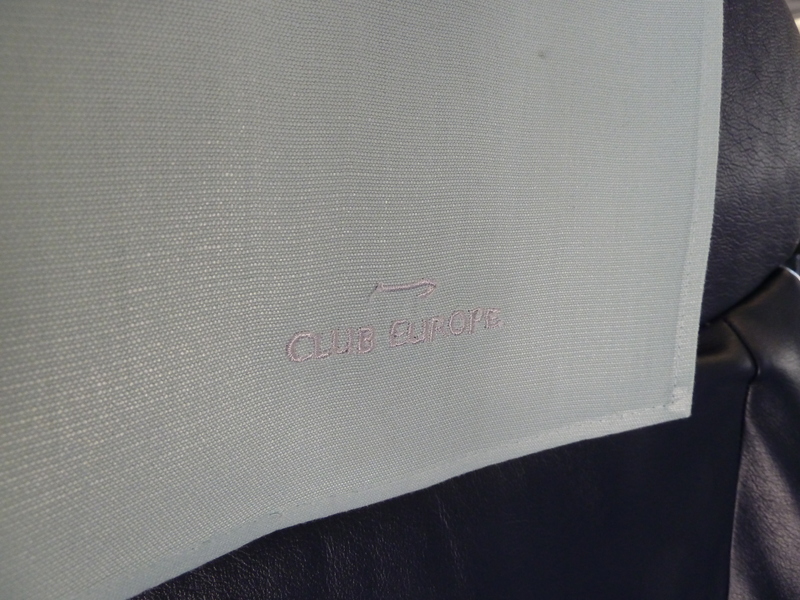 In its current design it has become a mere stylised ribbon and is referred to officially as the Speedmarque. It is a testimony to the talent and genius of Theyre Lee-Elliott, the graphic designer who invented the Speedbird in a time long gone by, in the very early days of aviation. Over the years, the Speedbird has evolved and matured to become perhaps one of the most iconic symbols for the achievements of aviation. 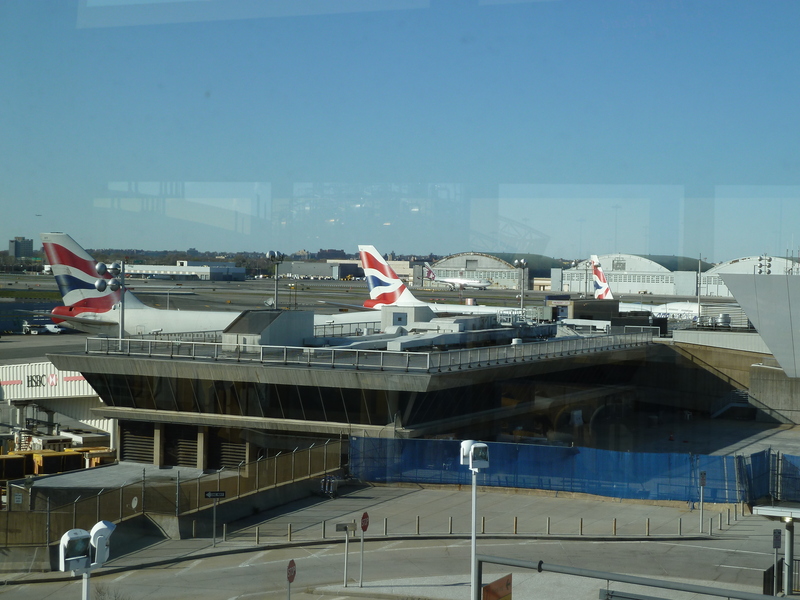 And so it came that I decided to travel to New York for the Easter break in search of any vestiges of Concorde that may remain along her signature route between London and New York. And in a way that is really what this trip is all about: to pay homage to one of the most beautiful aircraft to ever grace the skies – a technical marvel – and the people who built such an outstanding piece of engineering. 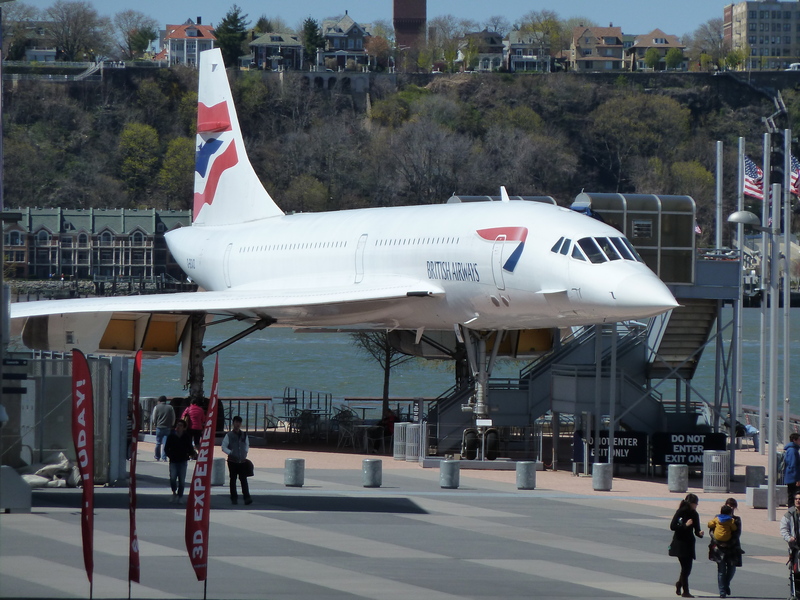 My pilgrimage would include a visit to the Intrepid Museum of course, to pay my respects to the beautifully preserved British Airways Concorde standing on the pier there near the Intrepid. And how would I get there? Yes, simple really. A Speedbird will take me there of course. 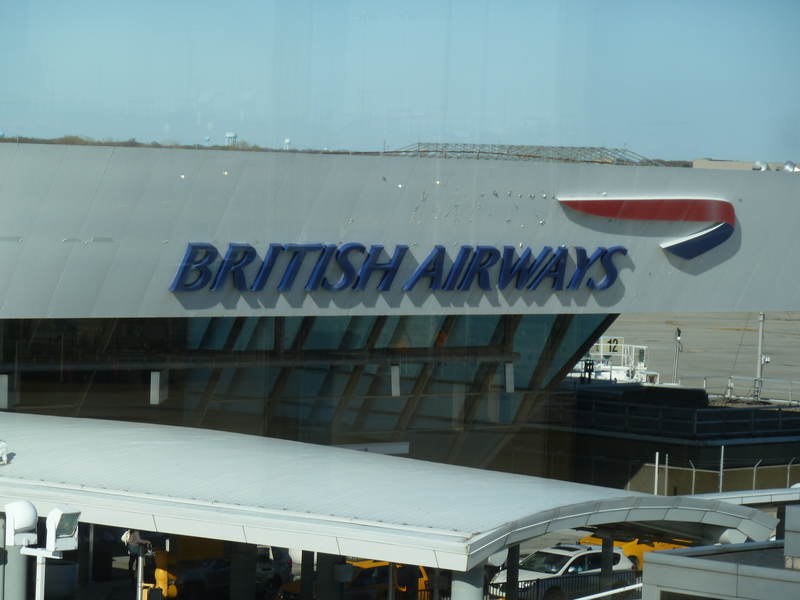 In 2009 British Airways decided to resurrect the legendary Speedbird One with the launch of direct services from London’s City Airport to New York’s JFK. 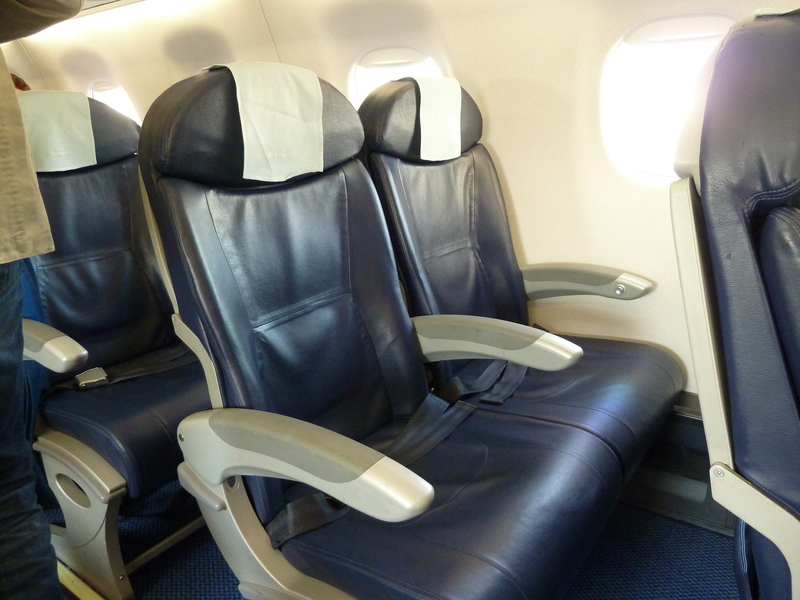 To this end, the airline acquired two A 318s in a Business Class only configuration with 32 seats. 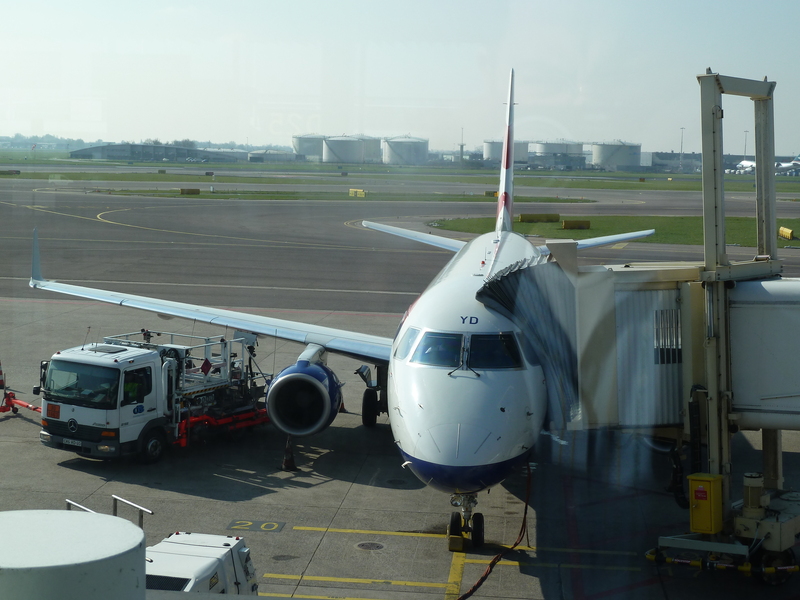 Payload restrictions at LCY require the aircraft to make an intermediate stop in Shannon in Ireland to refuel. Just like the good old days really. Passengers clear US immigration in Shannon while the aircraft is refuelled, thus putting to good use the necessary interruption of their journey and making the overall journey time from door to door comparable to that on a nonstop flight from London’s congested Heathrow to New York’s even more congested and crowded JFK. I wake up early on Good Friday. My home for the night at Amsterdam airport is the CitizenM, which I’ve stayed at many times and always greatly enjoy. 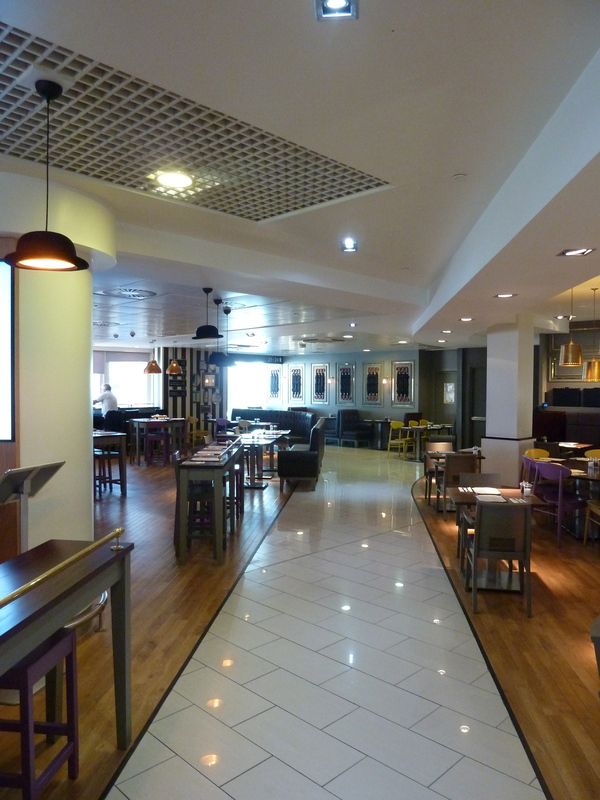 The hotel is very conveniently located within walking distance of the terminal complex. But that is not its most appealing feature, of course not. 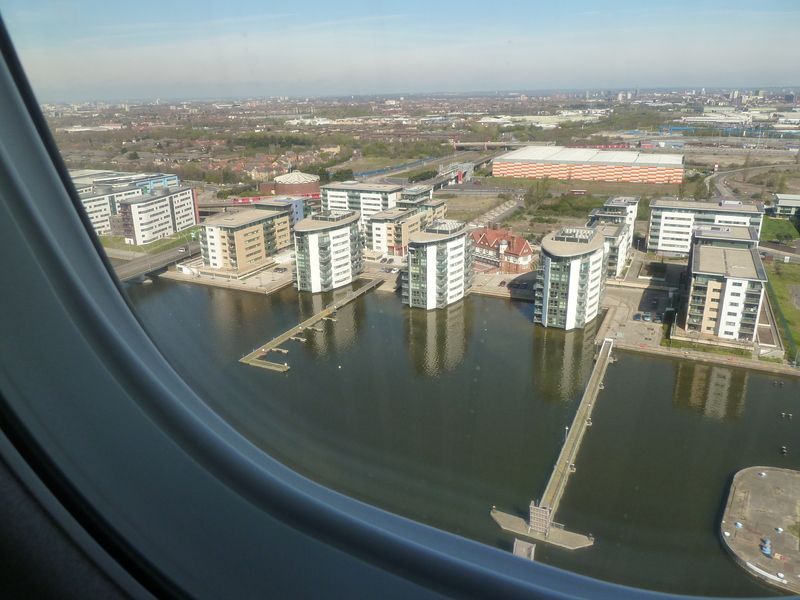 It also has rooms overlooking the apron. This is a special trip, so I decide to treat myself to something special to celebrate. Yes, today I will be old fashioned and check-in at a check-in counter, one with a real human being sitting behind it who asks you if would prefer a window or an aisle seat and, in the good old days, if you’re smoking or non-smoking. 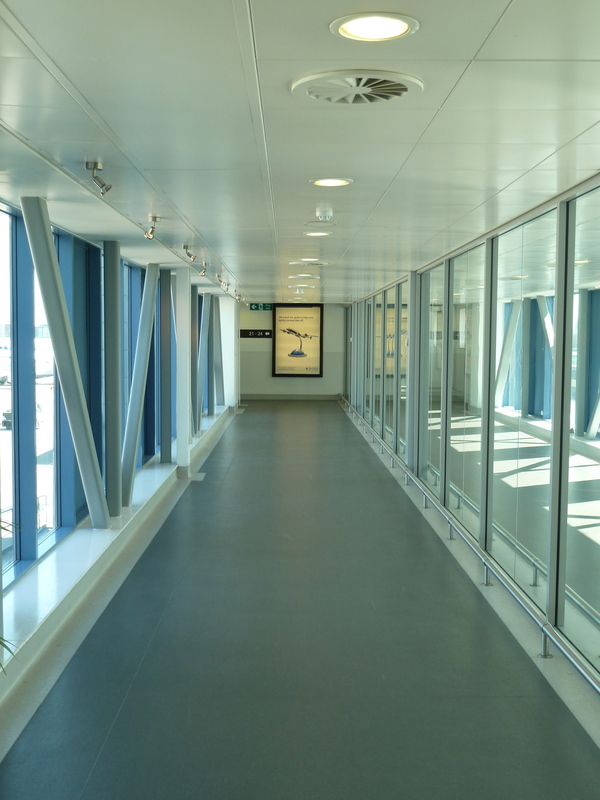 The queue for passport control is short for citizens of the EU and from there it’s only a short walk to lounge 40, operated by or for BA. The interior is very typically English. 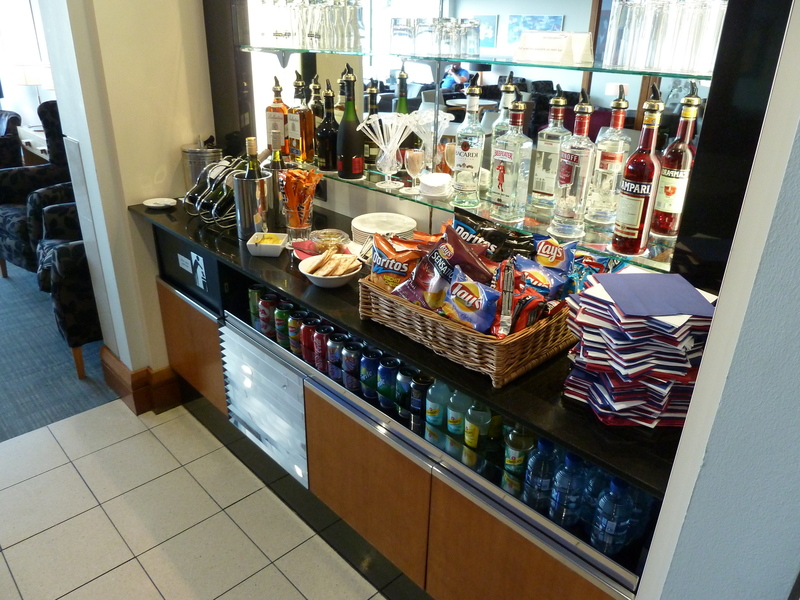 Food and drinks offerings are not bad either. 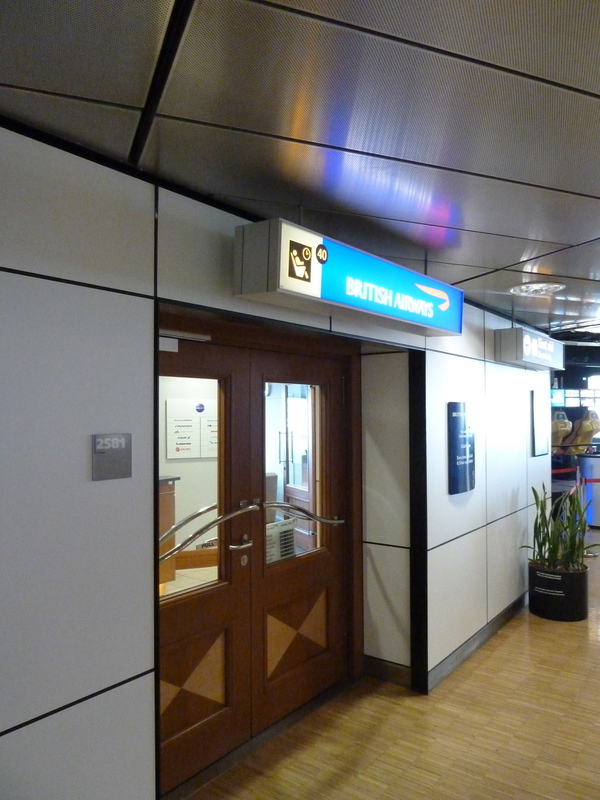 But like the Skyteam lounge in Zurich, this one does not have a toilet either. 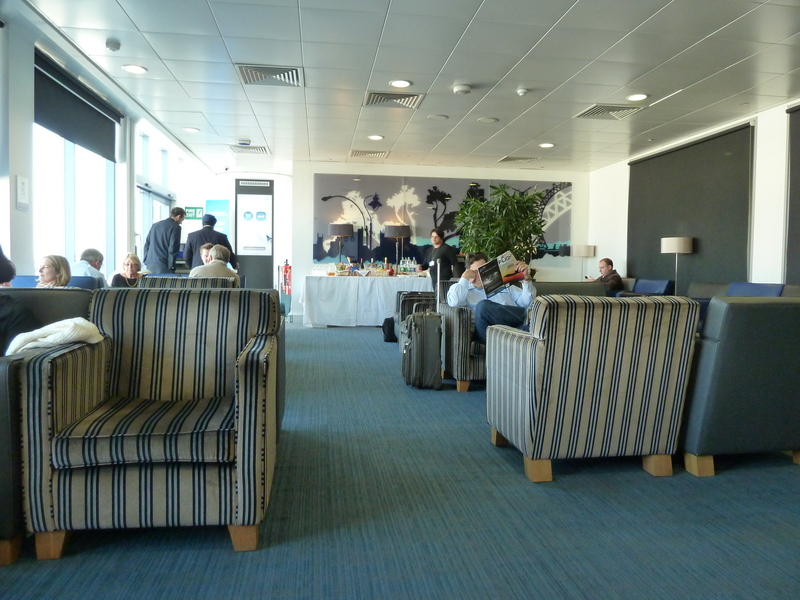 What the lounge also has though, is an elderly gentlemen at reception who makes boarding announcements. 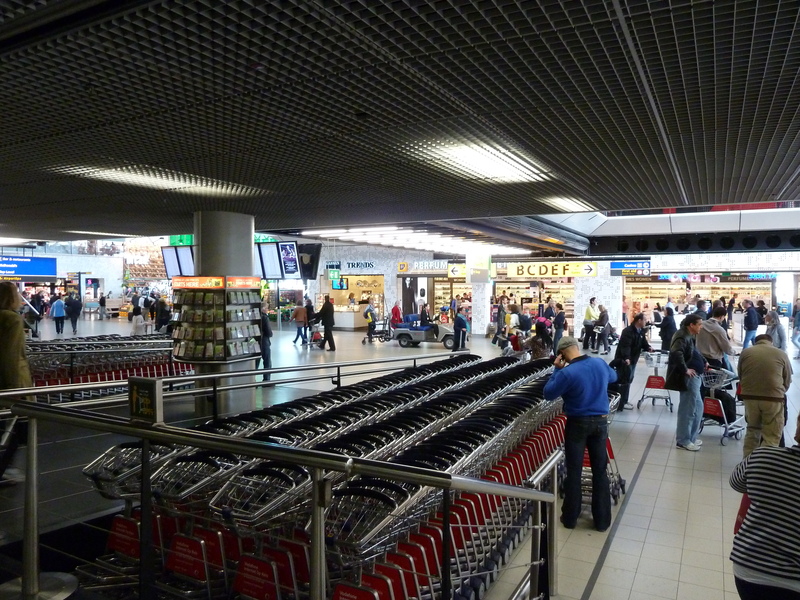 As usual in Amsterdam, the gate is quite a trek from the gate, so I make sure I leave enough time to get there. 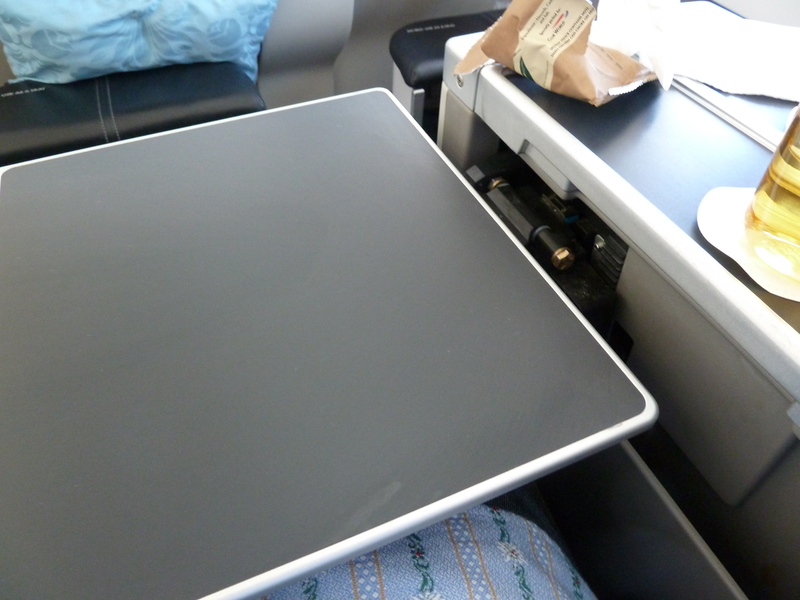 There are four passengers in Business Class. 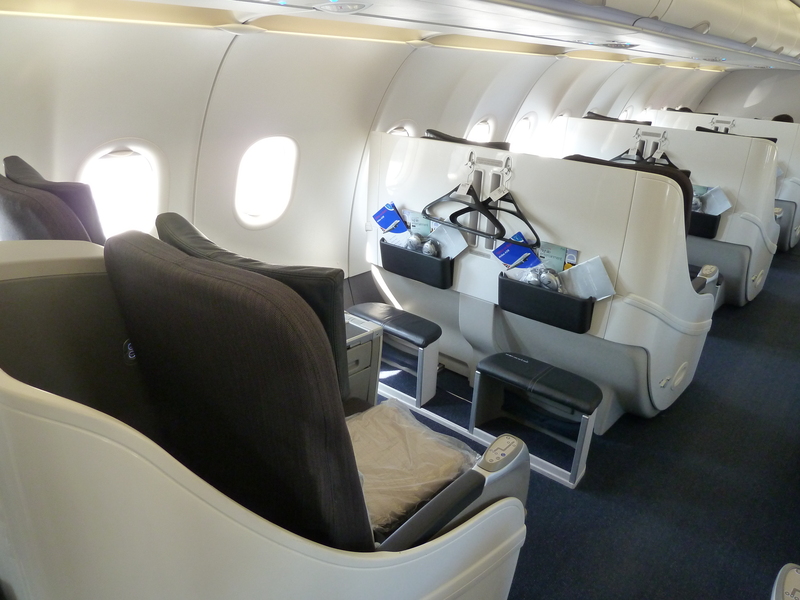 Despite the limited size of the aircraft, the cabin has a nice spacious feel about it. 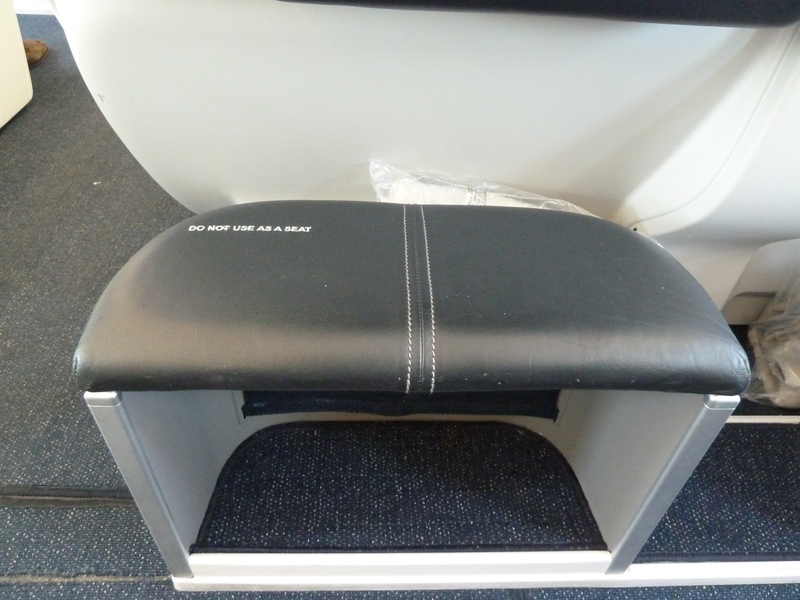 It probably helps that British Airways keep one of the seats on a row of two empty in Business Class, which is pretty much the industry standard on intra-European flights these days. 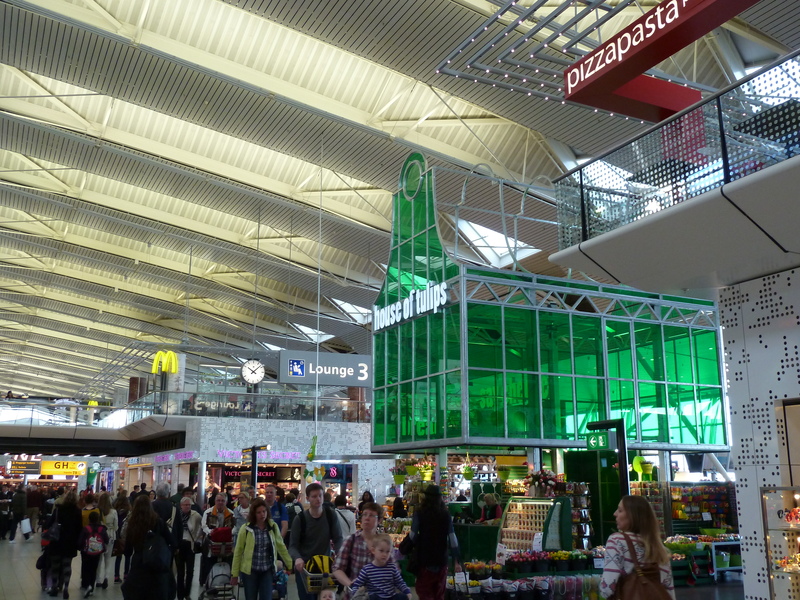 Departure is from the notoriously distant Polderbahn, which means we are treated to the grand tour of Schiphol airport as we trundle along on a 10 minutes long taxi. Take-off occurs some 14 minutes after we move off stand. Flying time is announced as a very short 40 minutes. As soon as we’re airborne, the crew springs into action. That’s when I find out I have a Hindu Vegetarian Meal stored in my Executive Club profile. No idea where that came from. 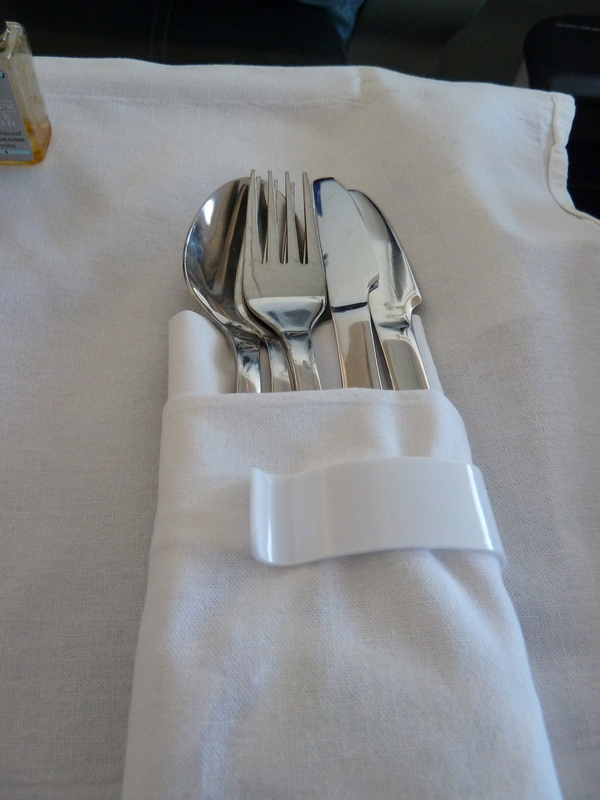 It will come back to haunt my on the next flight. 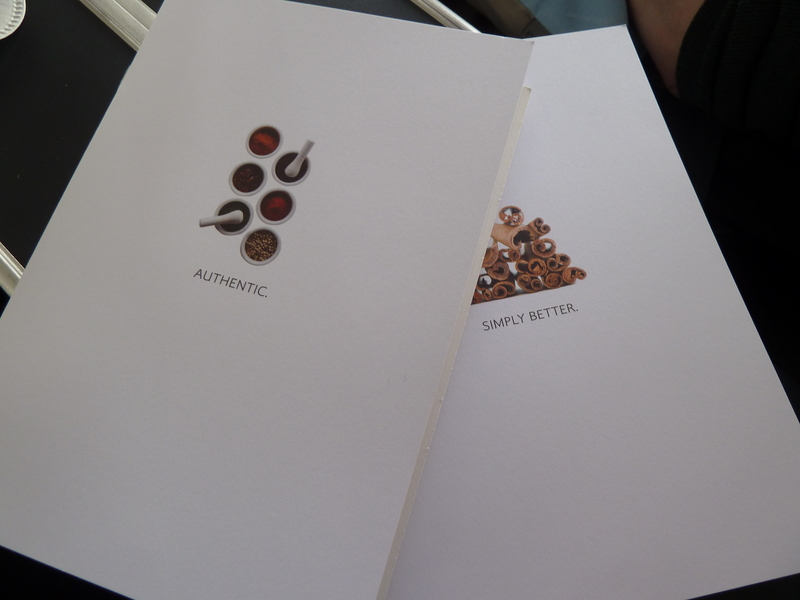 But the cold meal I receive is very tasty, spicy and flavourful. It’s a kind of vegetarian Tikka Masala with pumpkin. 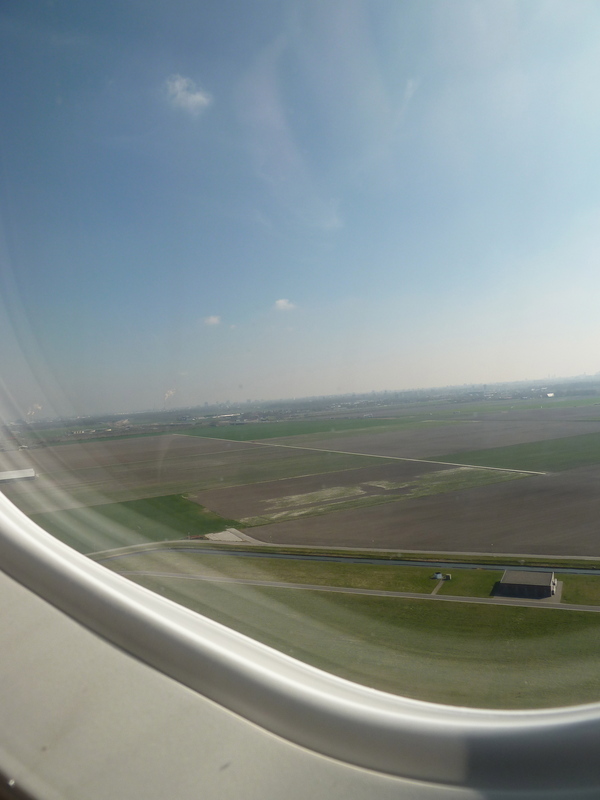 And then, it’s already time to land again.We approach the airport from the East. 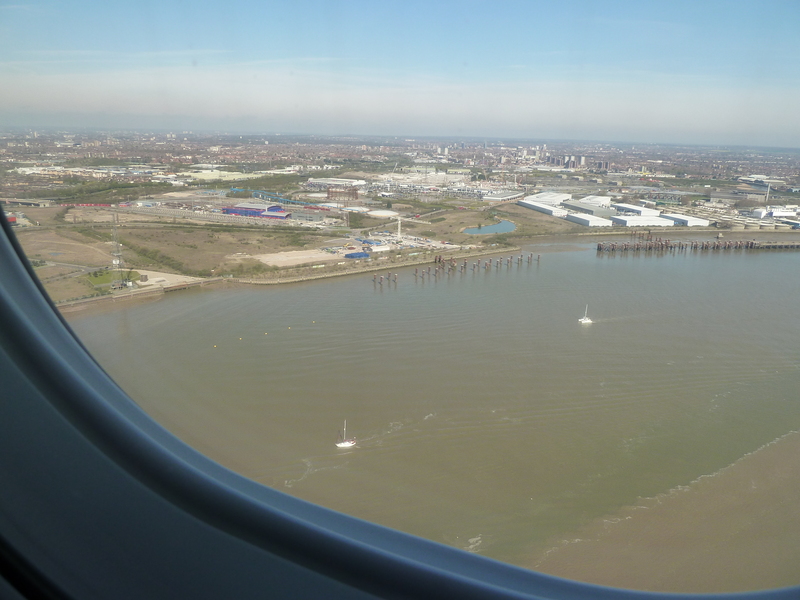 The steep approach into London City is always good fun! 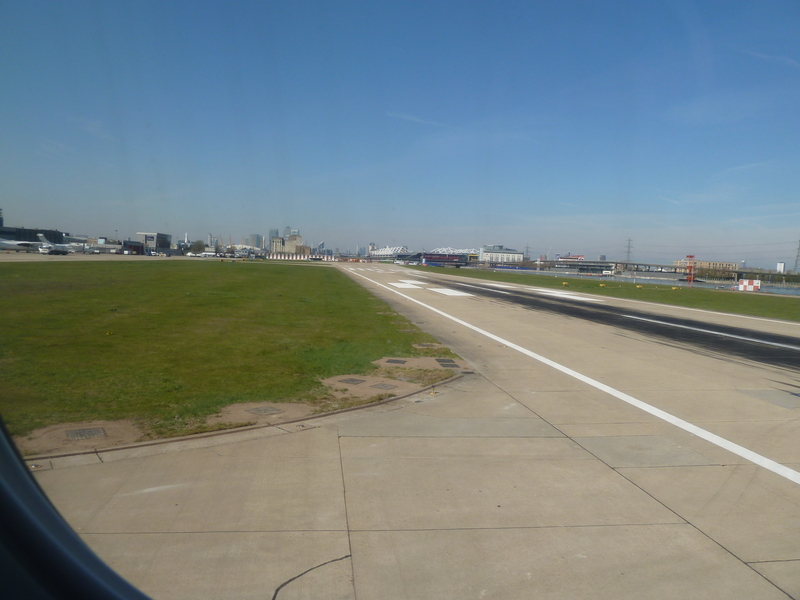 There is no transfer area in LCY. 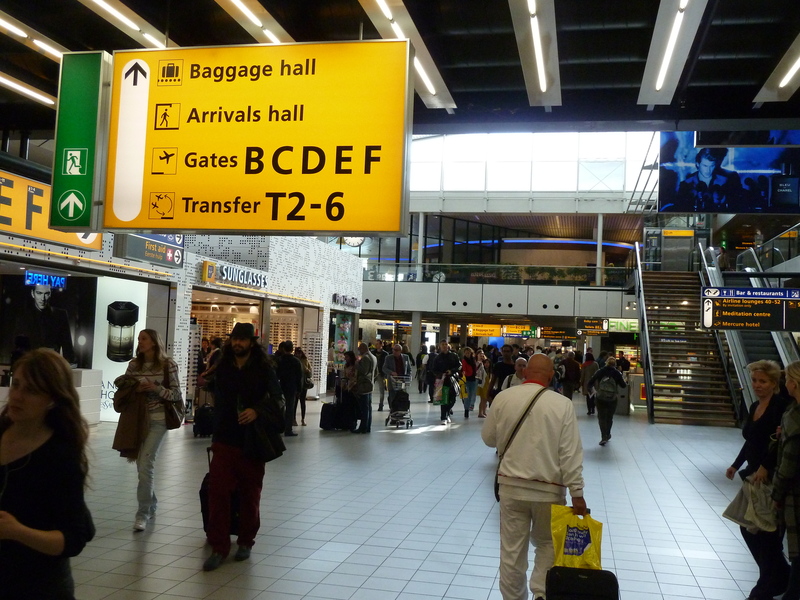 So upon arrival I make my way through arrivals. 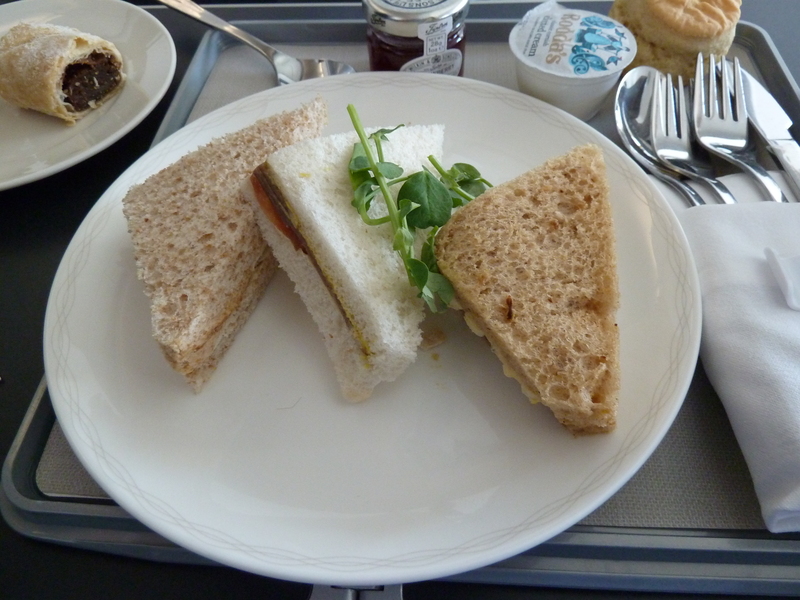 I stop at the BA desk and ask them to remove the Hindu Meal from my PNR, then take the stairs one floor up, go through security again and arrive airside once more. 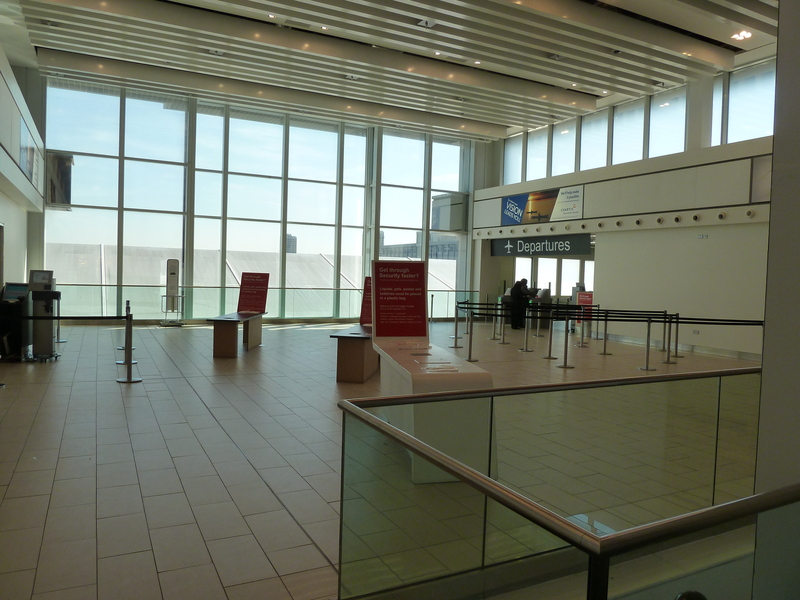 I head for Gate 24, which is the dedicated gate for the JFK flight and has been converted into a sort of mini-lounge. 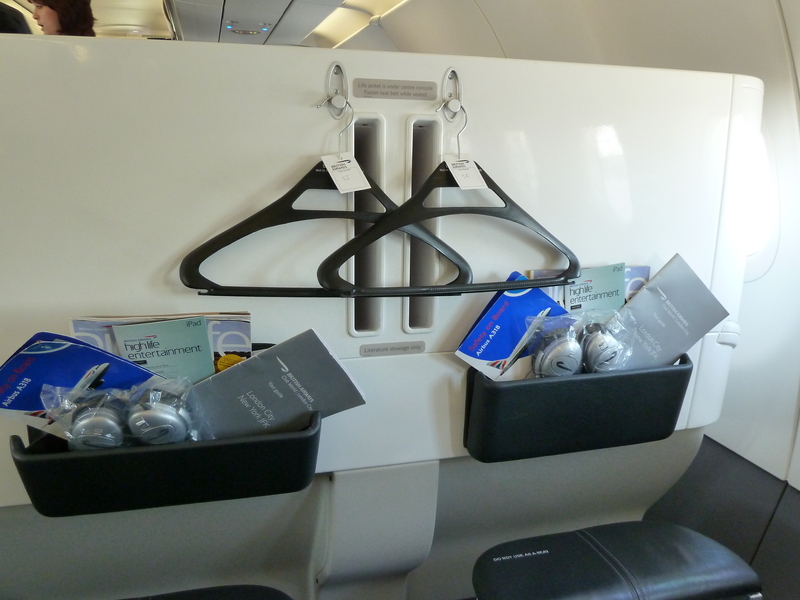 Gate 24 is equipped with thirty-two seats for the passengers of Speedbird One. The staff are all exceedingly friendly and lend the entire event an air of being something special. Is it just me, or is there really a sense of excitement and anticipation in the air? I sit down and try to calm down. A friendly lady comes to offer me a glass of champagne and seems almost disappointed when I ask for a glass of still water with lemon and ice. I busy myself with completing the immigration and customs forms for the US, more to keep me occupied and hopefully to soothe my nerves. And then suddenly, out of the blue it comes. It’s so short I nearly miss it. But I do hear it! 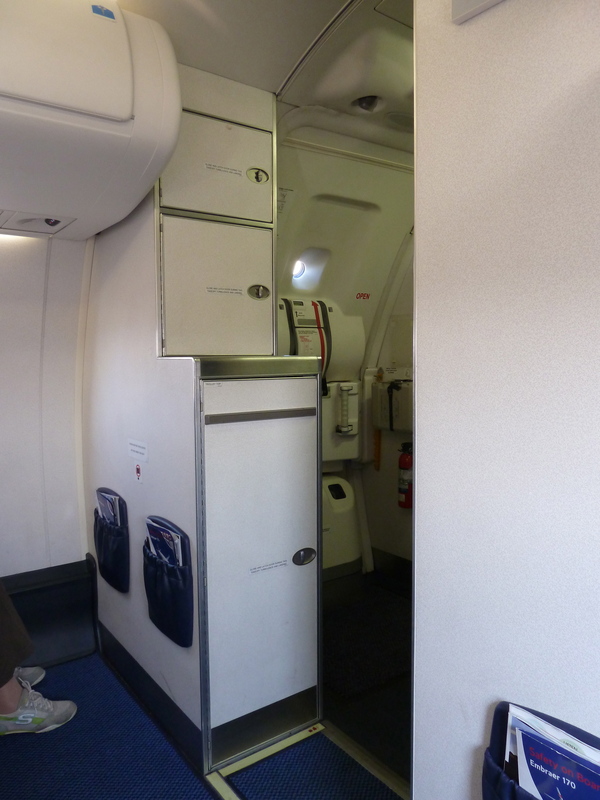 The gate attendant slowly opens the door and a breath of fresh, cool air floods the small area of gate 24. 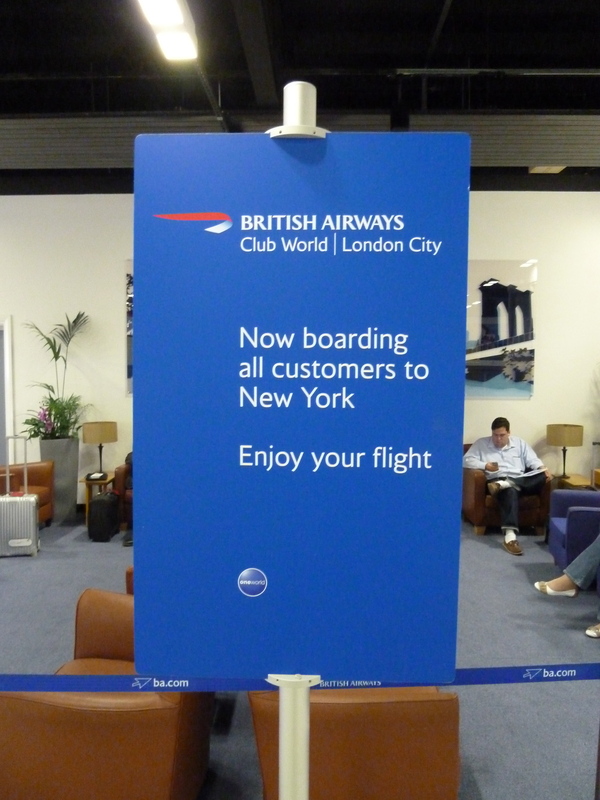 And then it comes: ‘Ladies and gentlemen, BA 1 to New York JFK is now ready for boarding’. 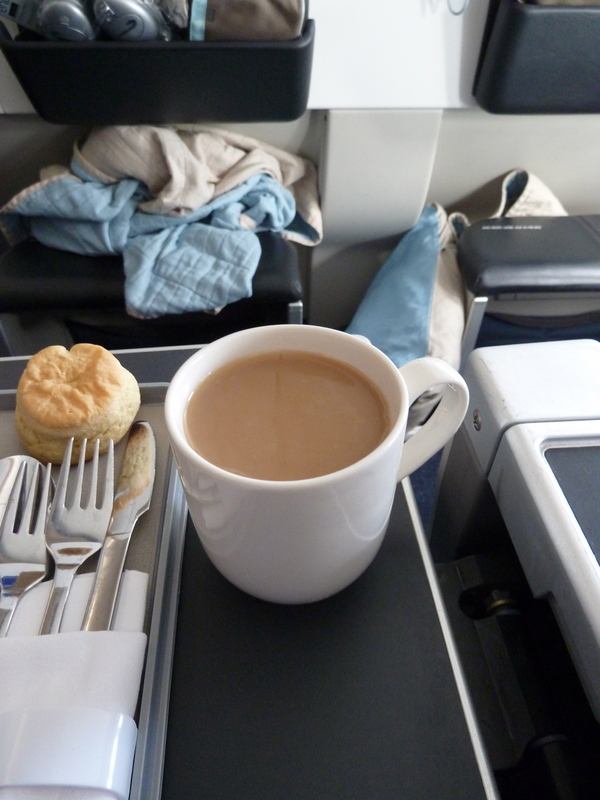 So here was are again, and I’m finally on board Speedbird One. Only three seats remain empty. First impressions of the cabin are very good. The first thing that strikes me is that there are no over-wing exists on this bird. This is cool. 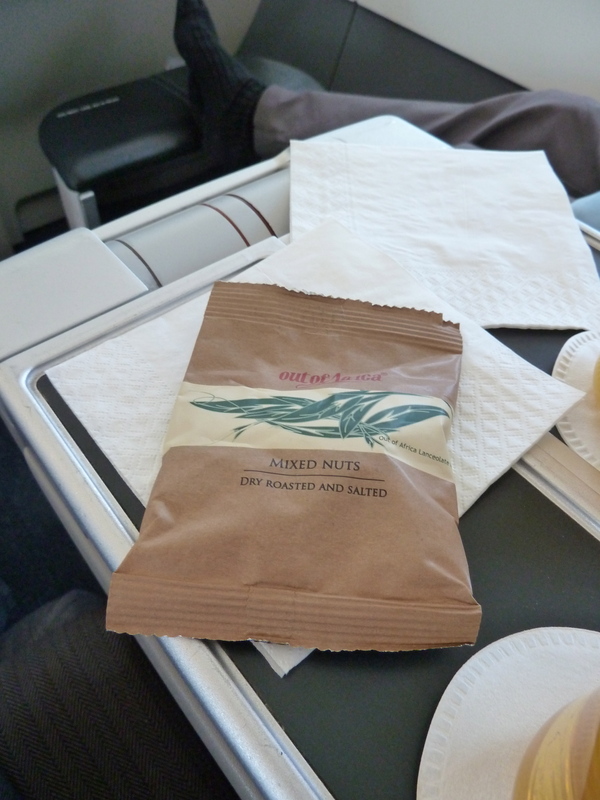 The atmosphere on board is very laid back and relaxed. I’m not the only one taking pictures. The crew are, like their colleagues on the ground, very friendly. 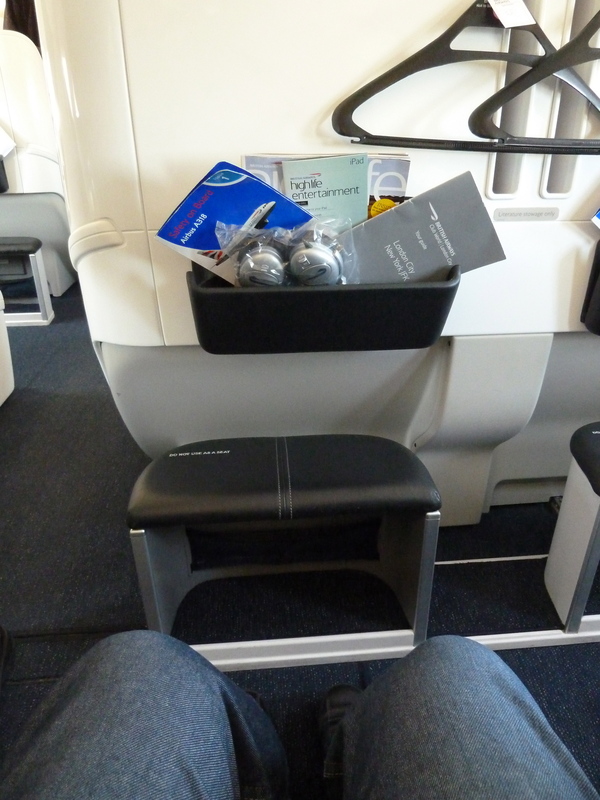 I am asked if this is my first time on The Speedbird One. I confirm that it is and I am promised that I’ll enjoy the ride. I hope so! 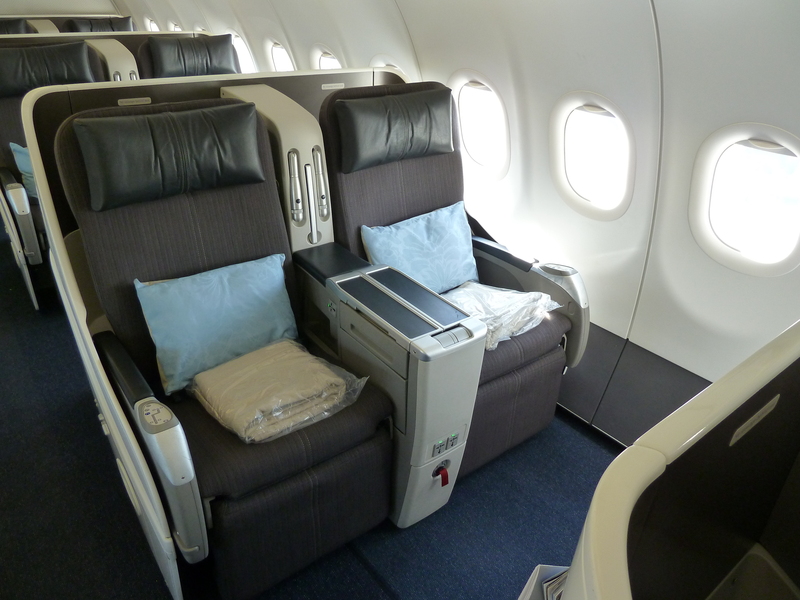 On board there are only 32 Business Class seats in a 2-2 configuration. 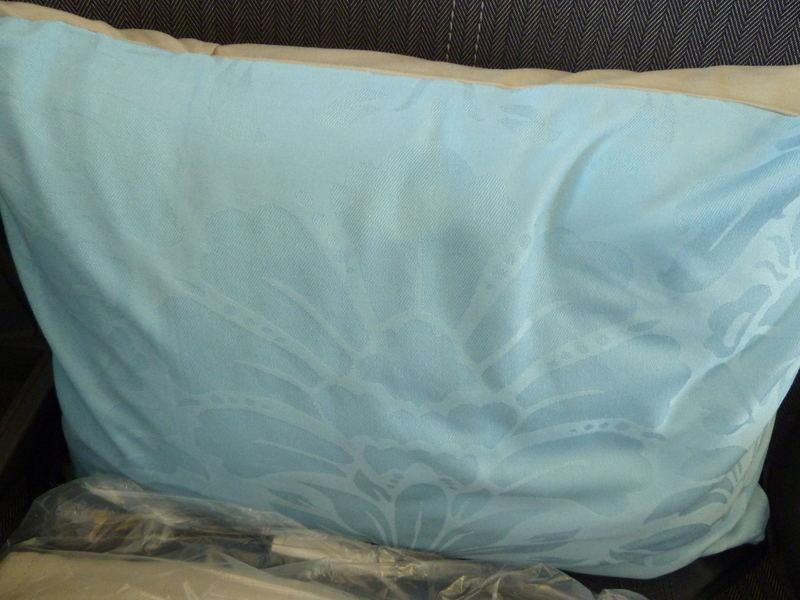 There is a nice fluffy pillow and a blanket on every seat. Departure is to the West. 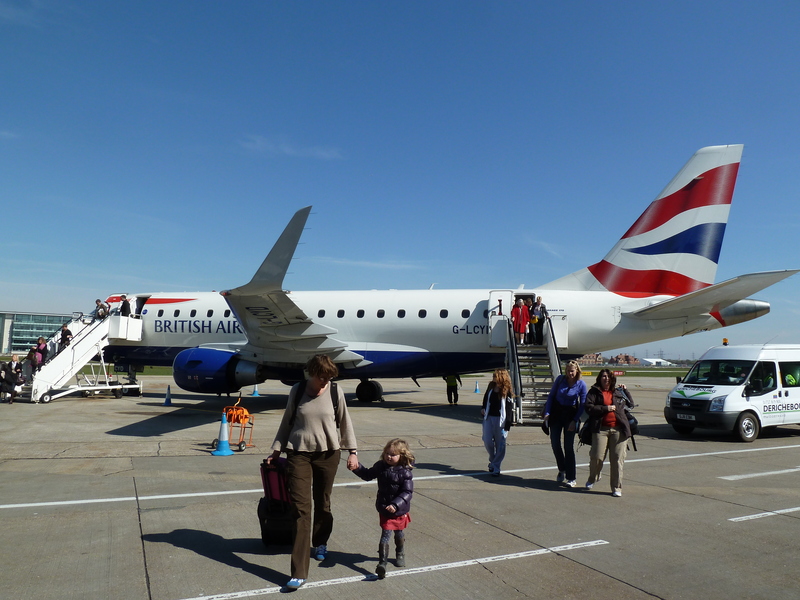 This will only be a short hop for the A 318. 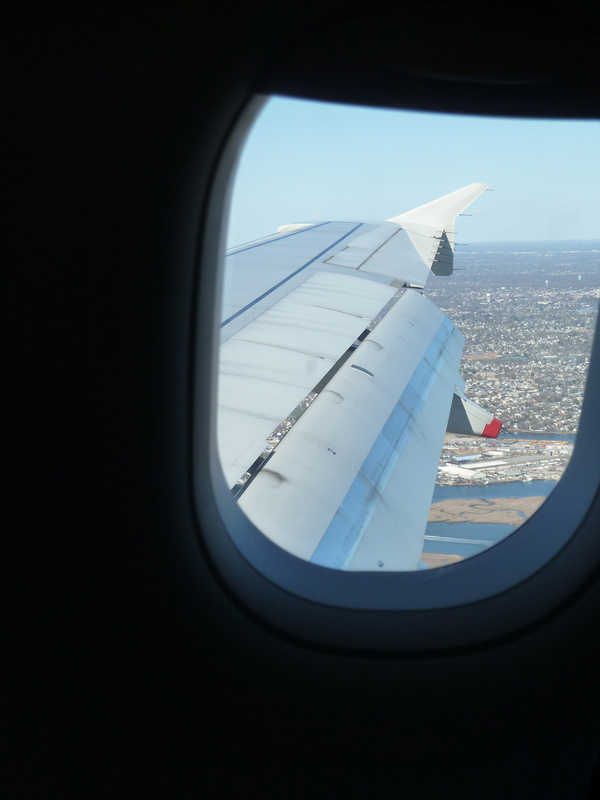 Our take off is pretty much what I imagine departing an aircraft carrier to be like: first the throttle is pushed forward, the noise inside the cabin increases and the aircraft begins to gently sway back and forth. 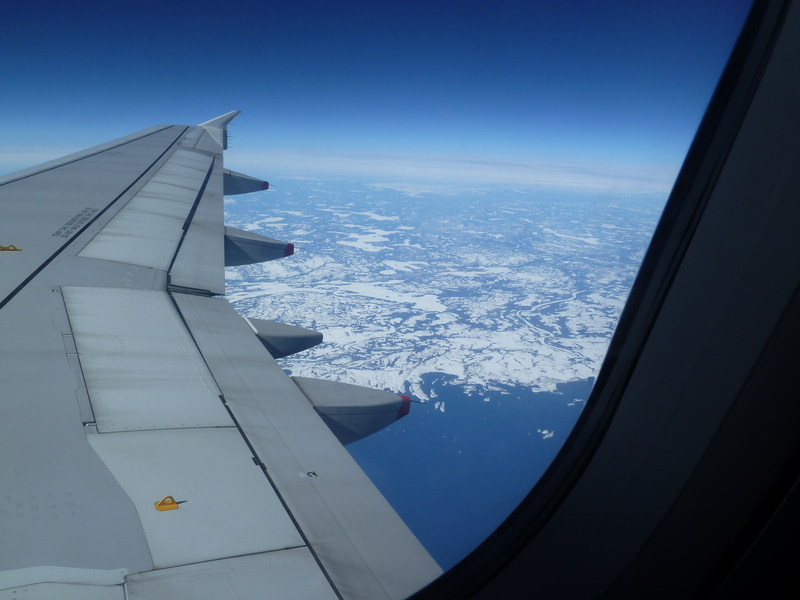 But nothing happens until, suddenly, the breaks are released and we go thundering down the runway. What fun! 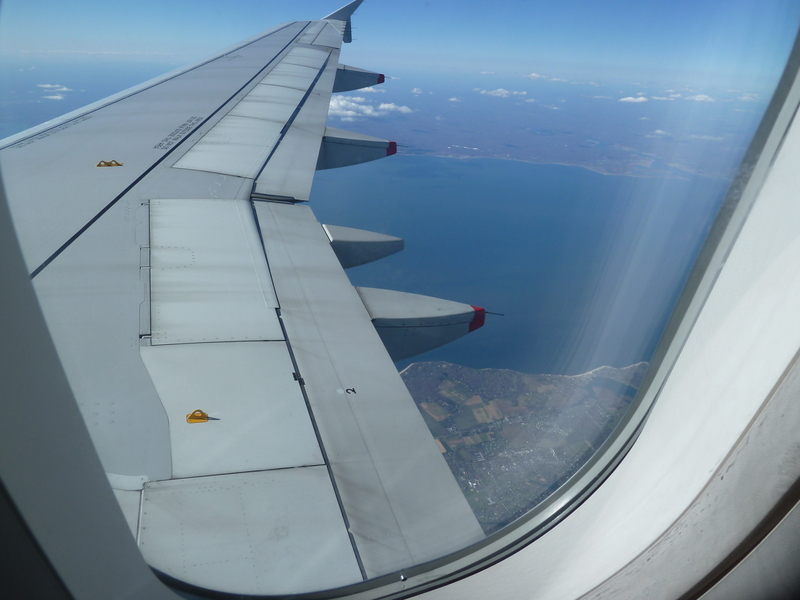 It’s really quite amazing how quickly we’re airborne! 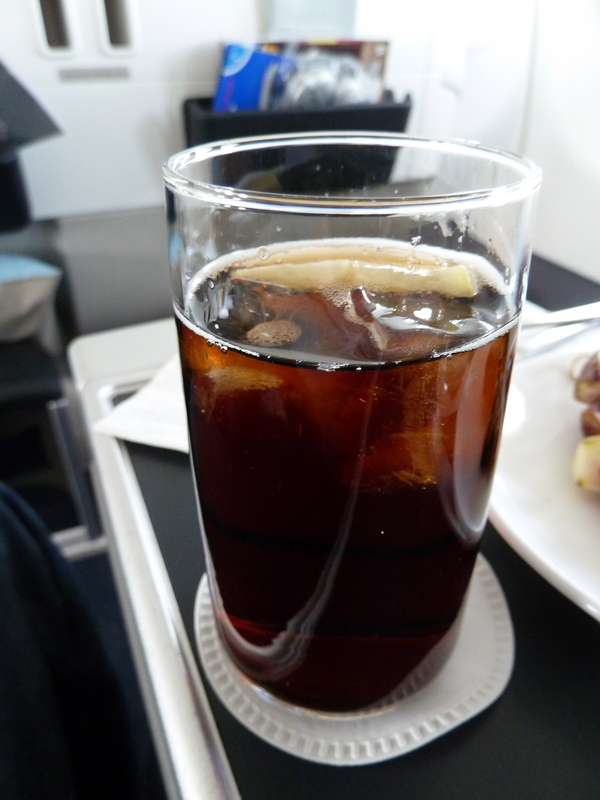 To drink I have a Coke Zero with that. I know, an awful combination but what will you? Service is efficient and friendly. The food is served from a lovely, large, round silver tray. And then it is already time to land. 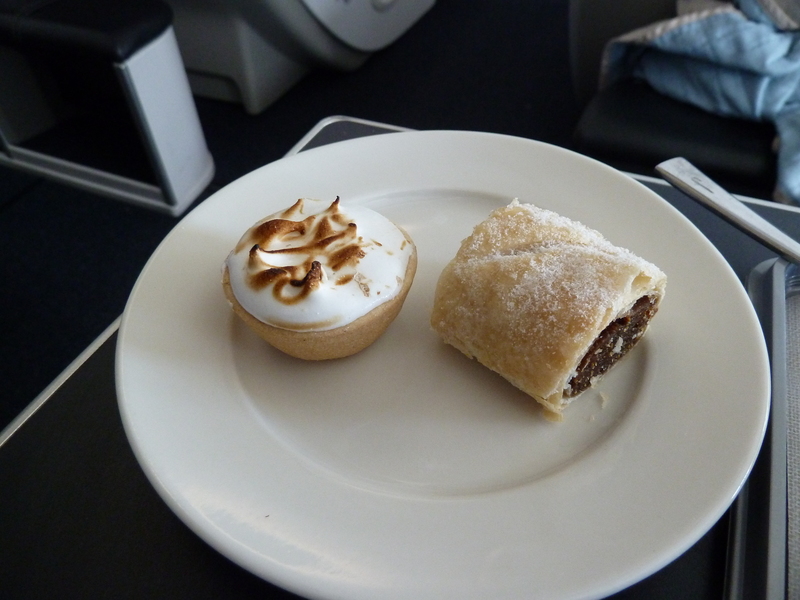 Just before we do, a member of the cabin crew comes by and takes orders for the main course on the next leg. 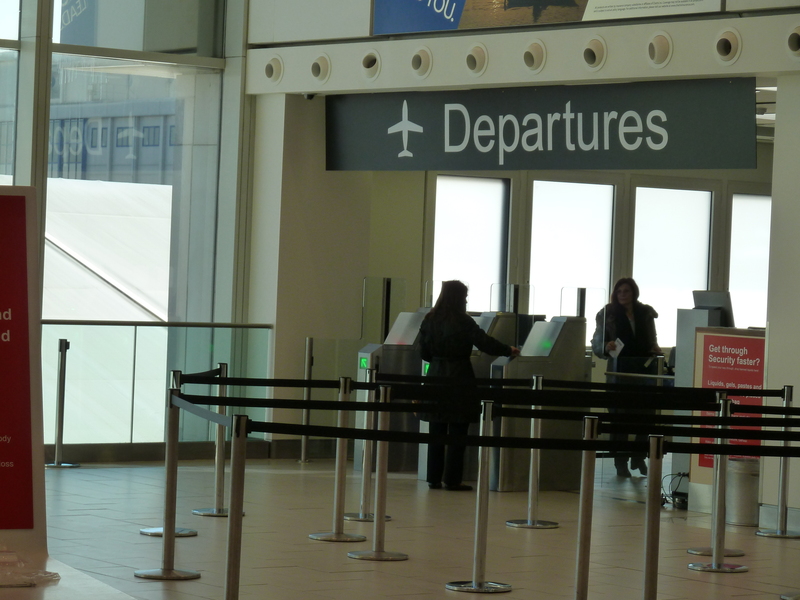 Immigration at Shannon airport is a strange affair, and rather depressing. The terminal looks shabby from the outside. 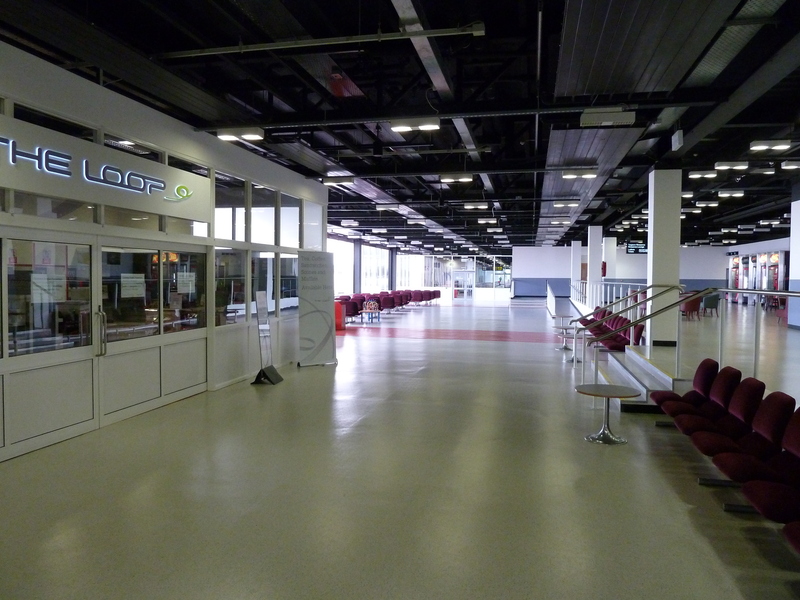 And although it may look better from the inside, the deserted terminal does not in any way help to lift spirits. 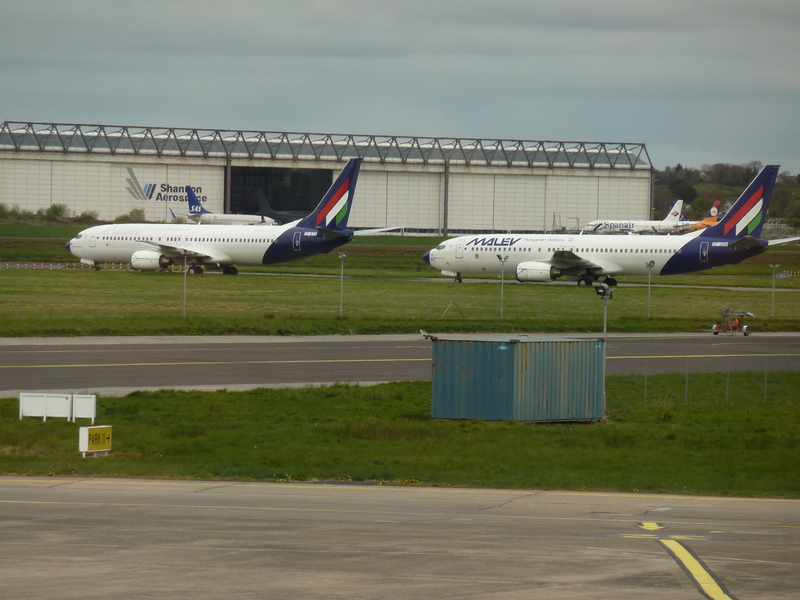 The derelict aircraft littered across the airfield and parts of what used to be the MALEV fleet do not help matters. But at least they have a vending machine and I buy myself a rather overpriced packet of salt and vinegar crisps to keep me going until I finally get something on the plane. 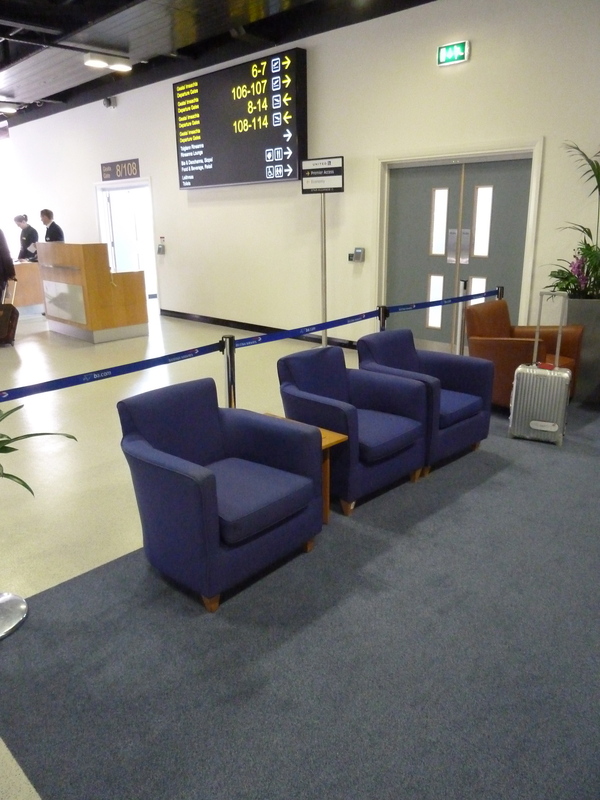 There’s even another mini lounge for passengers of the flight. The guy at immigration is friendly enough and we have a nice little natter as he checks my passport and visa. 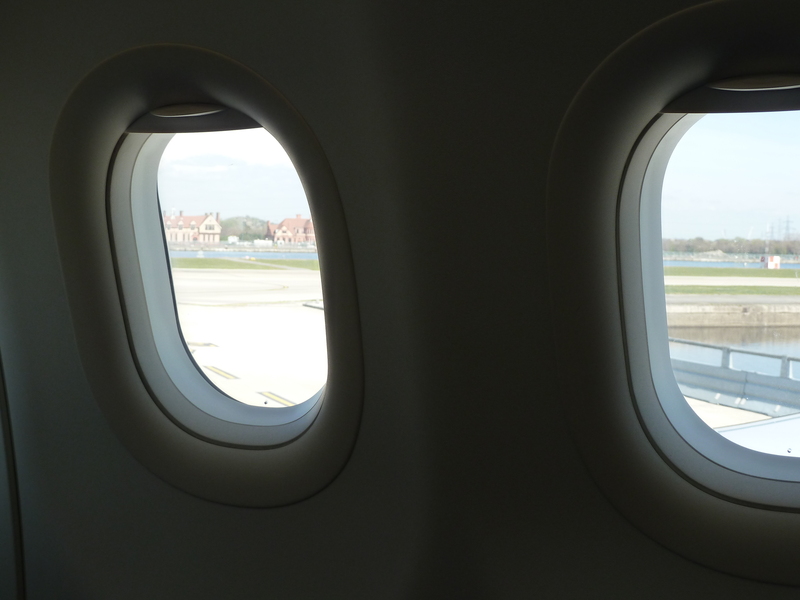 The wait is not a long one and very soon we’re allowed on board the aircraft again to continue our flight to New York. 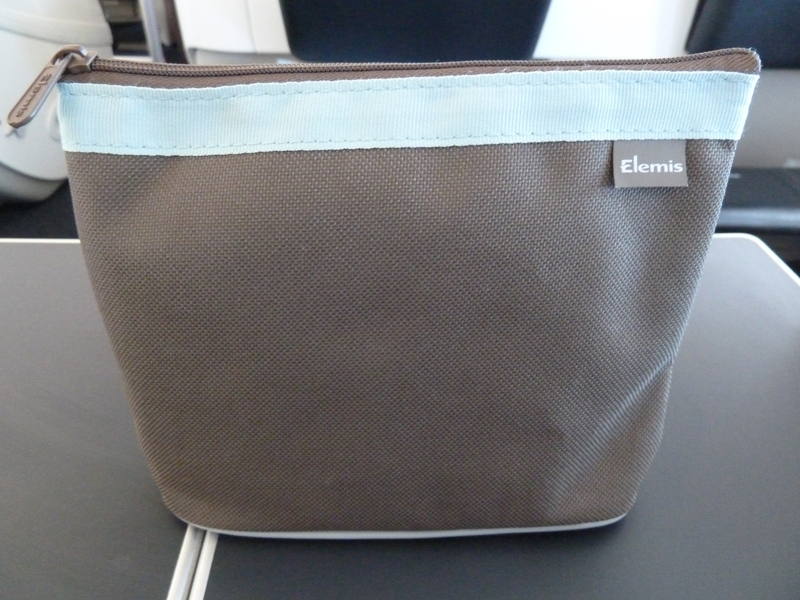 After take off from Shannon the amenity kits and iPads are distributed. 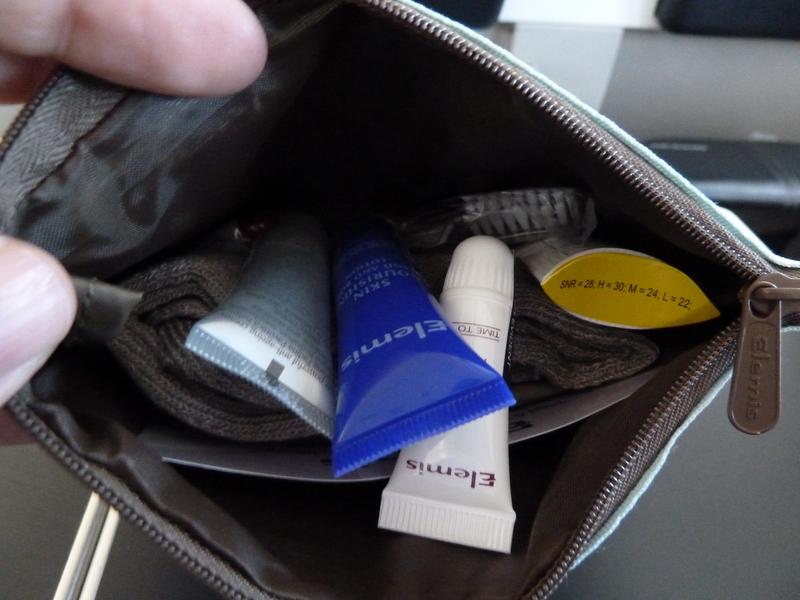 The amenity kits are small and contain a toothbrush, toothpaste, eye shades, socks and ear plugs. Everything you need. And a few creams I don’t use anyway. The iPads appear to be a newer feature. 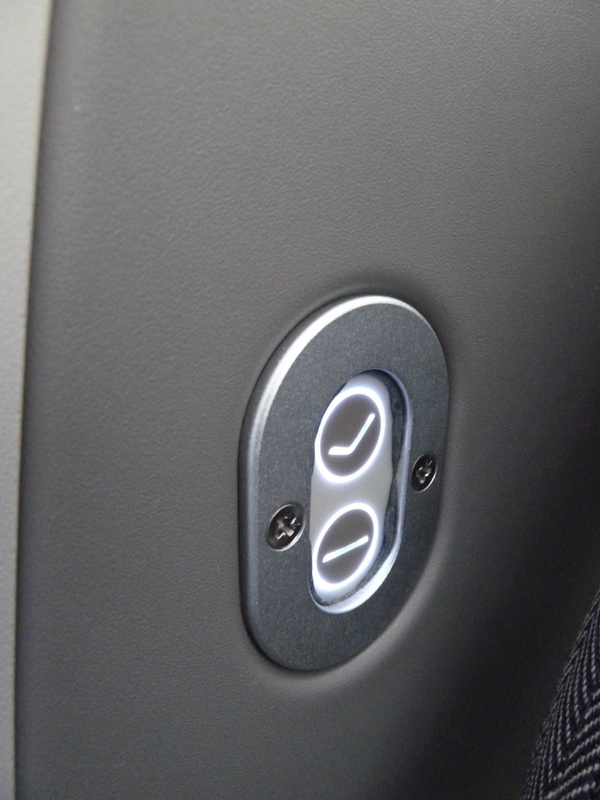 In fact the inner armrest opens to reveal a contraption that was obviously originally intended for a small DVD player to be mounted on it. But with the iPad it has become superfluous. 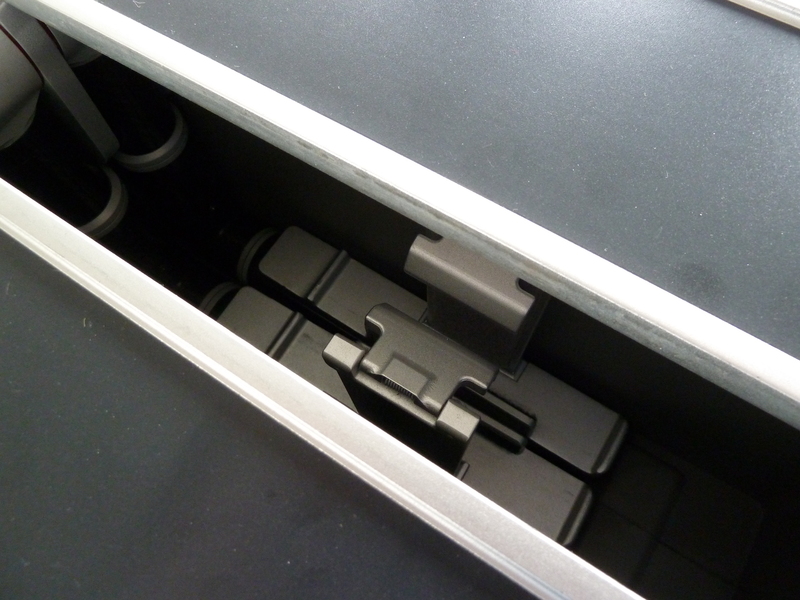 The iPads come in a nice soft leather cover that elegantly converts into a stand. The film selection is not bad at all. The main feature is ‘the Iron Lady’ which I saw a couple of weeks previously when I was in Amsterdam. No matter what you might think or say about Margaret Thatcher, the film is absolutely brilliant. Or rather Meryl Streep is. In a way it’s quite as though she plays two roles in one film. There is the ruthless and ambitious first female British Prime Minister on the one hand, and a frail, sad and lost, pathetic old woman suffering from dementia on the other. The second service starts with another drinks round. 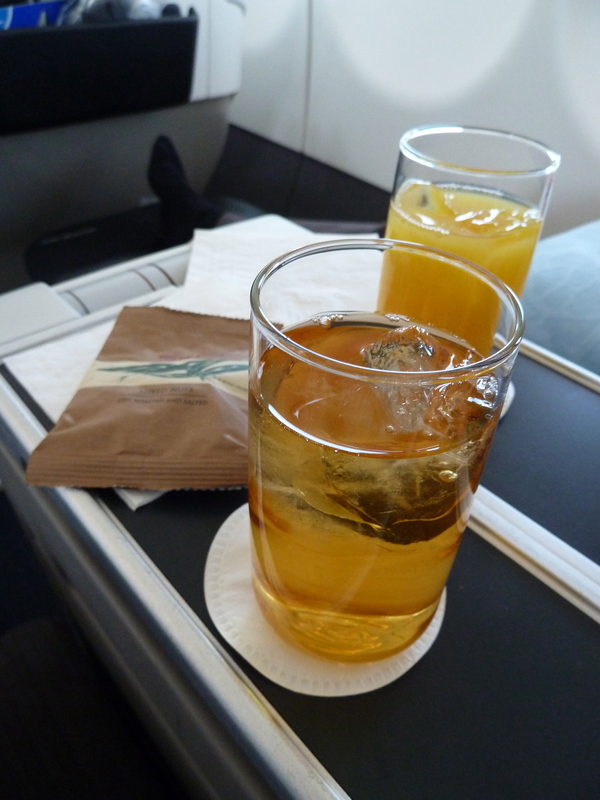 I have a glass of apple juice. It comes with a bag of salty nibbles. 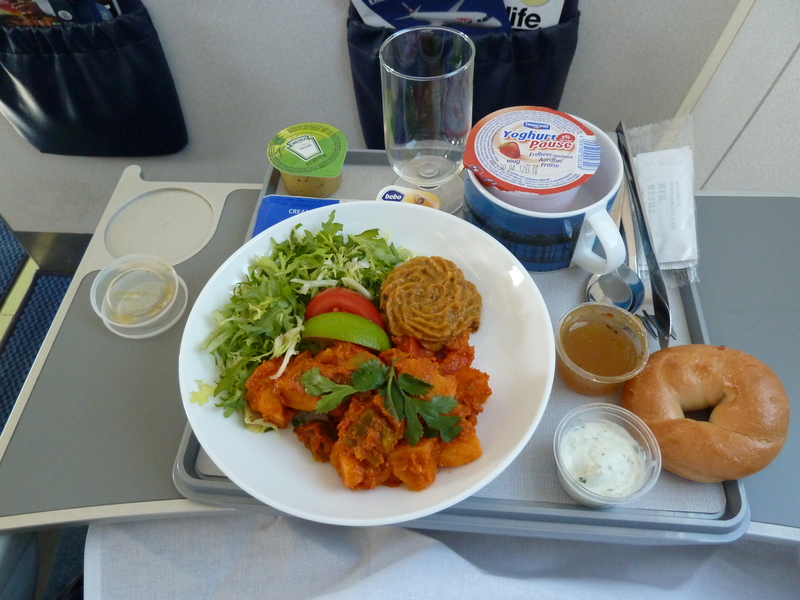 I am still haunted by the curse of the Hindu Vegetarian Meal. 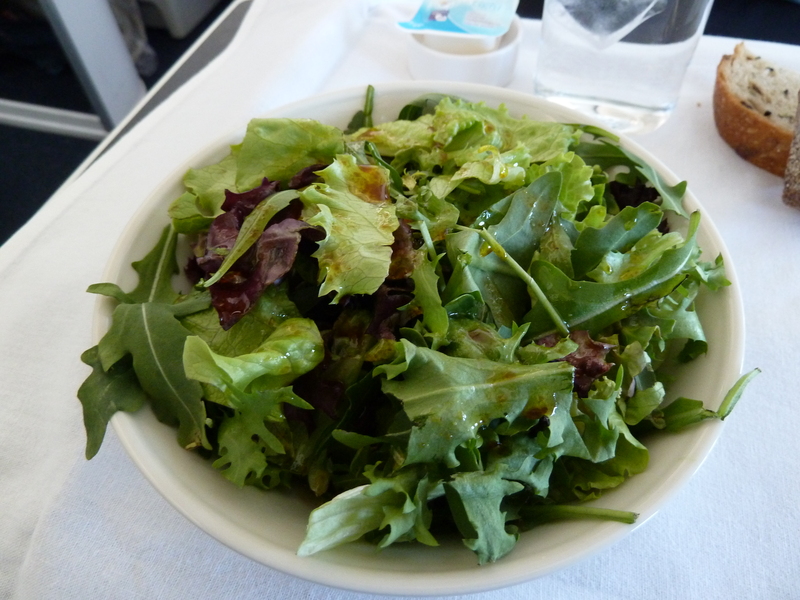 The salad is fine, it is quite large and has lots of ruccola in it to give it flavour. The bread looks and smells delicious, with a hint of sage in it. But I have no butter. I have margarine. But one must look at the positive side. Normally I find myself deliberating whether to use the unhealthy but oh so lovely butter or dip the bread into what’s left of the olive oil and balsamic vinegar. 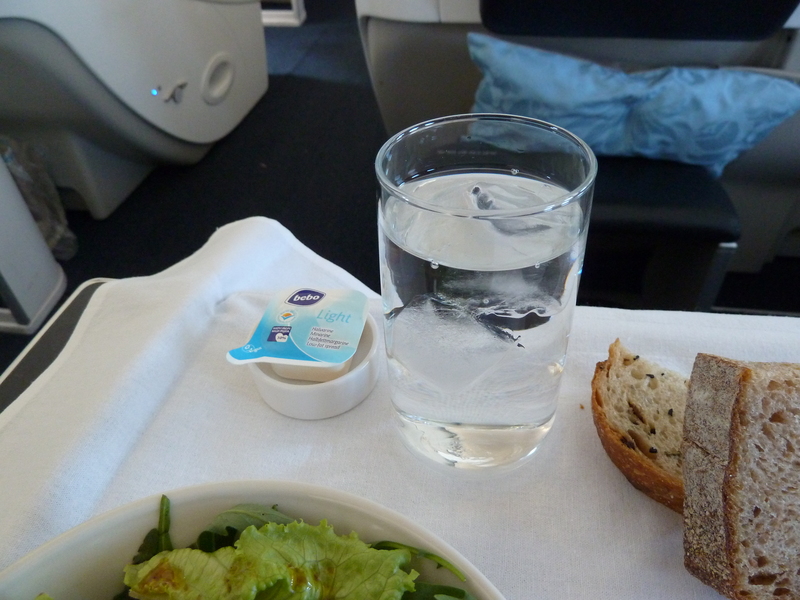 With the meal I have sparkling water to drink. Then comes the hot meal. I take the fish and it is excellent and the mashed potatoes with saffron are a delight. 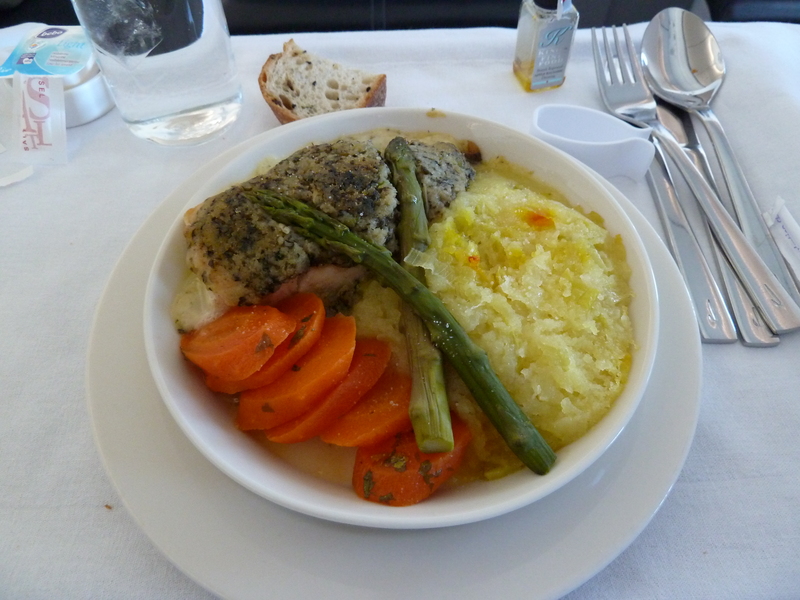 Really, it’s one of the best pieces of fish I’ve ever had on a plane. It’s remained moist and the breadcrumb crust on it is simply amazing and goes well with the dill sauce and the sautéed asparagus and carrots. Dessert is a choice between a very lovely sounding raspberry fool with chocolate and other goodies or cheese with crackers and chutney. The Hindu Vegetarian Meal however, gets strawberries in a…ehm…strawberry sauce. I try it and decide to give it a pass. 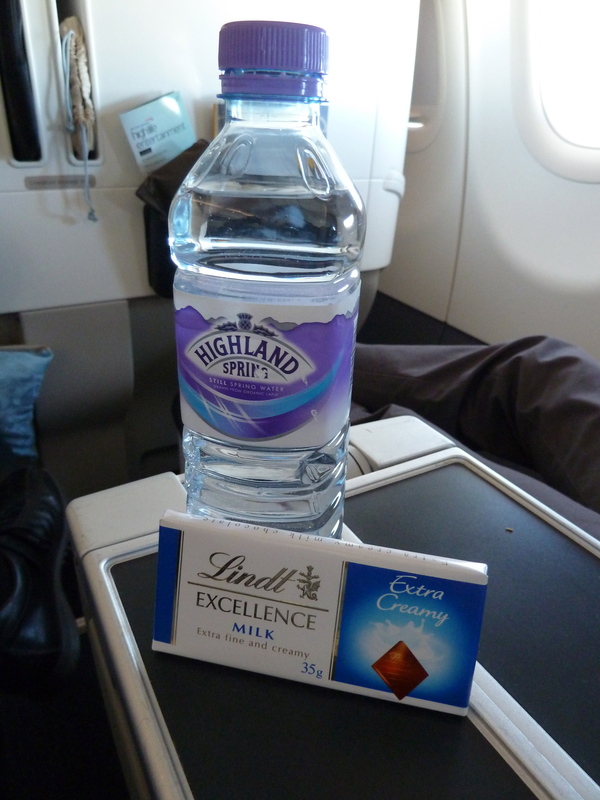 Once the meal is over the crew remove the trays and place a bottle of water and a small bar of Lindt Milk Chocolate at every seat. 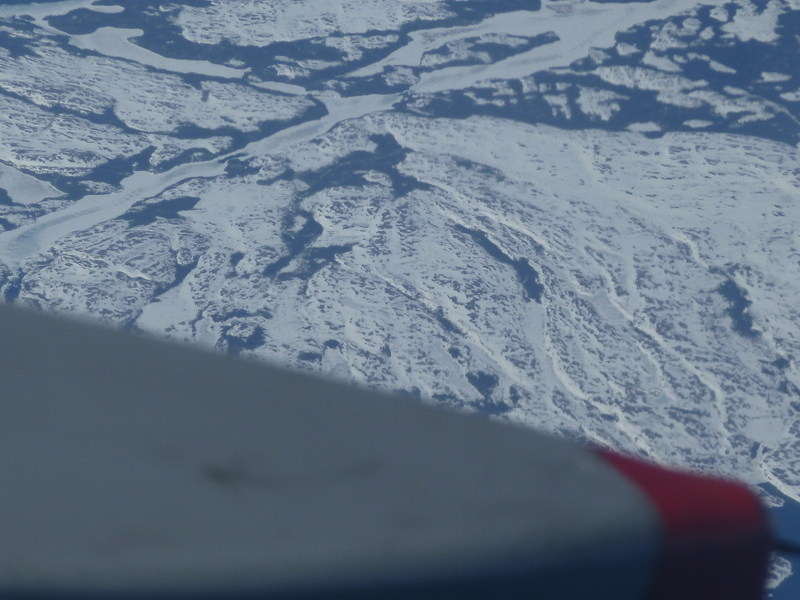 As large slabs of ice drift by 38’000 feet below, my contemplations shift to The Speedbird One. It’s rather difficult to describe the experience. 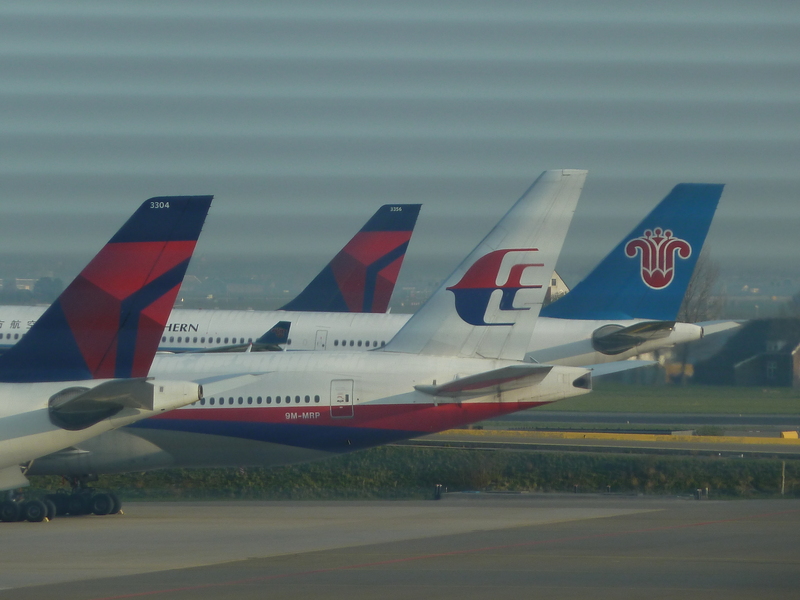 Perhaps the most obvious thing to do is to compare the actual flight experience and match it against what I was anticipating it to be like ahead of the journey. 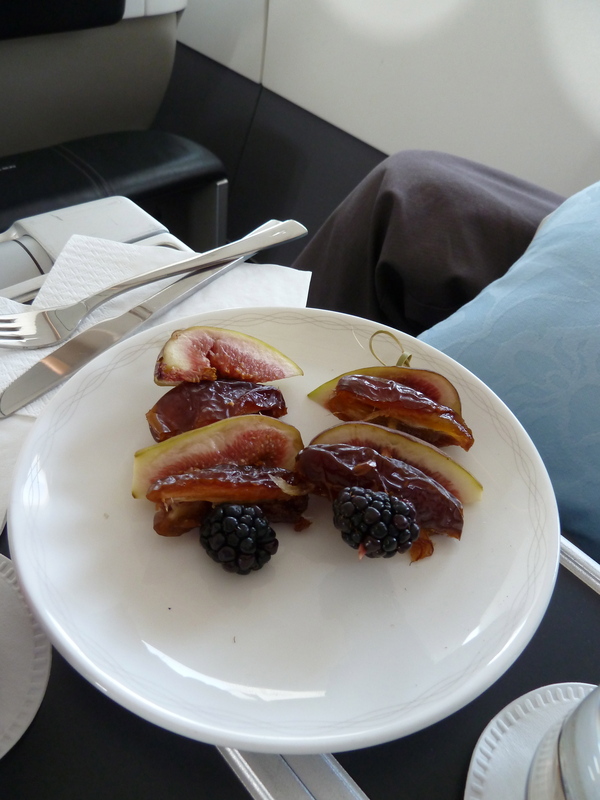 For sure this is not a First Class experience, even if you earn First Class miles for taking this flight over the normal service from Heathrow. 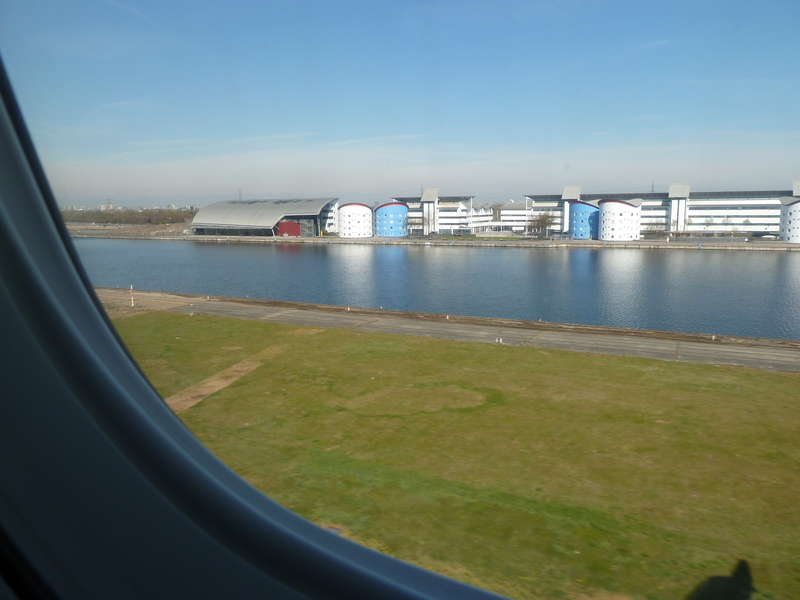 The A 318 is a very small aircraft and LCY is a very small airport and both have their limitations. As for the fuel stop in Shannon, I think if you’re heading to New York or the States this probably is the most hassle free way to do it. 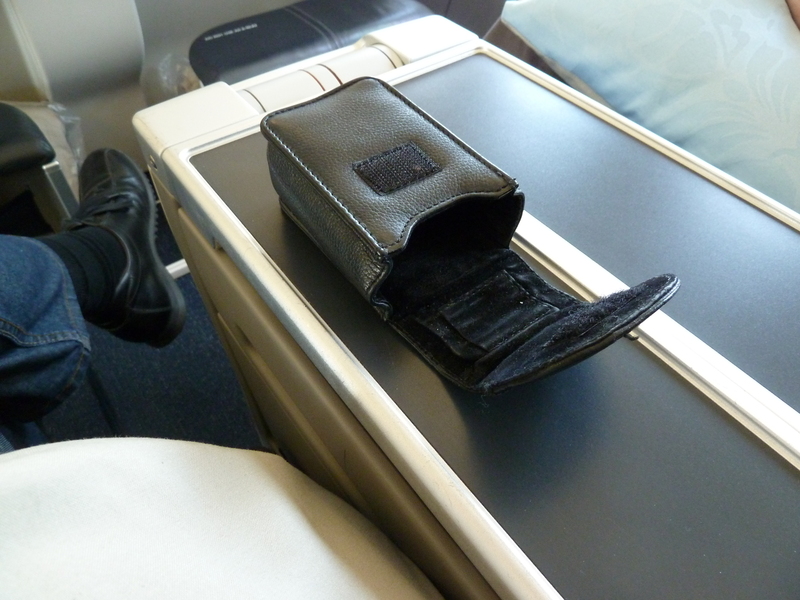 But it also makes it more difficult for you to settle into the flight the way you usually can on a mid-haul flight. Because you know that in one hour’s time you’ll have to pack up everything again. But the immigration process is smooth and convenient and gives you enough time to visit the loos before setting off again. And then there is the hardware. 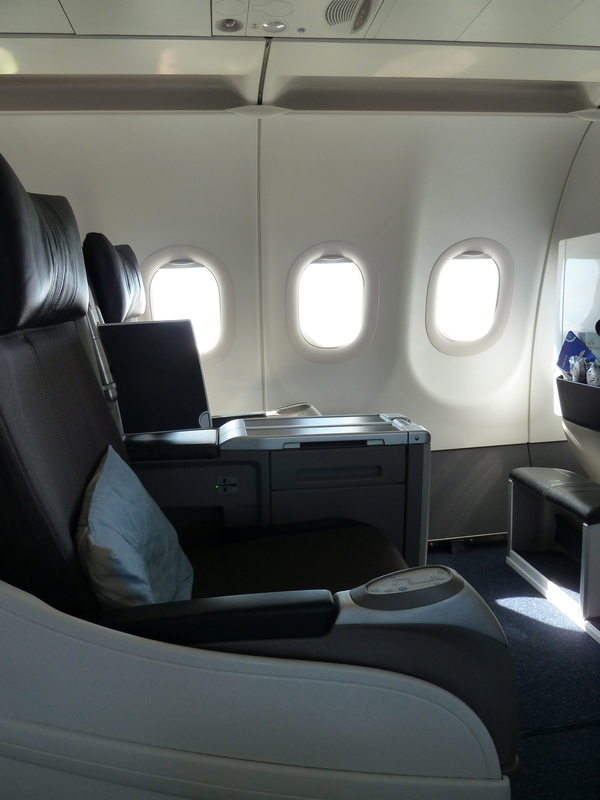 The cabin has a very fresh and attractive feel to it and the high back of the seat also makes it quite private. 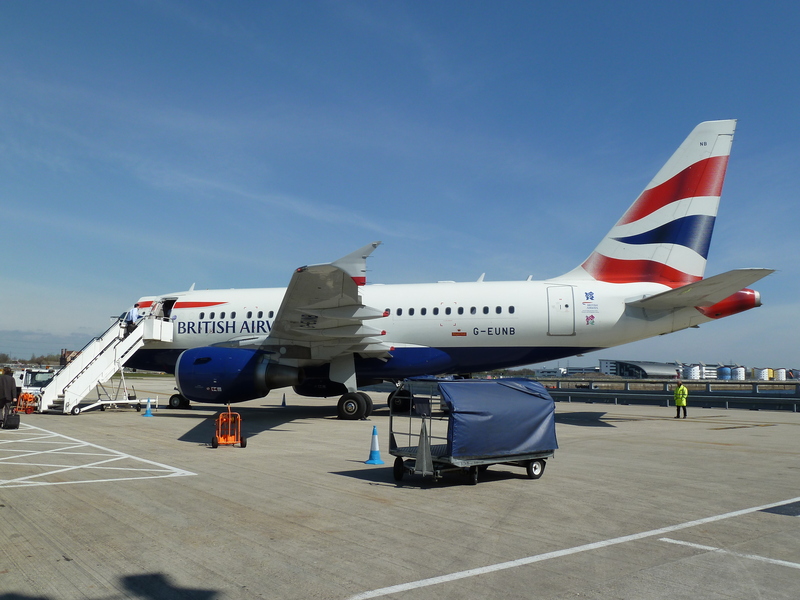 As for the software, I think this is really where the staff at British Airways excel and make the journey on The Speedbird One something outstanding and special. A journey to remember. I like it, yes. I will use it again, yes. And now it’s time for tea already. And it is a very lovely affair. 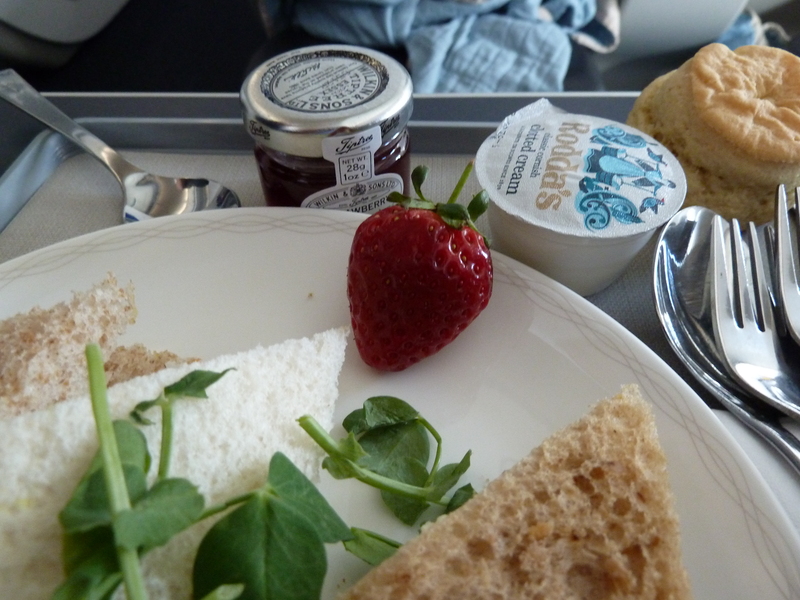 Egg and watercress sandwich, beef and tomato sandwich and a chicken and coleslaw sandwich, served with a plain scone with clotted cream, strawberry preserves, fresh strawberries and two small but very tasty pastries. And a nice cup of tea to go with that. The Brits have such refined habits! Shortly after we already begin our descent. 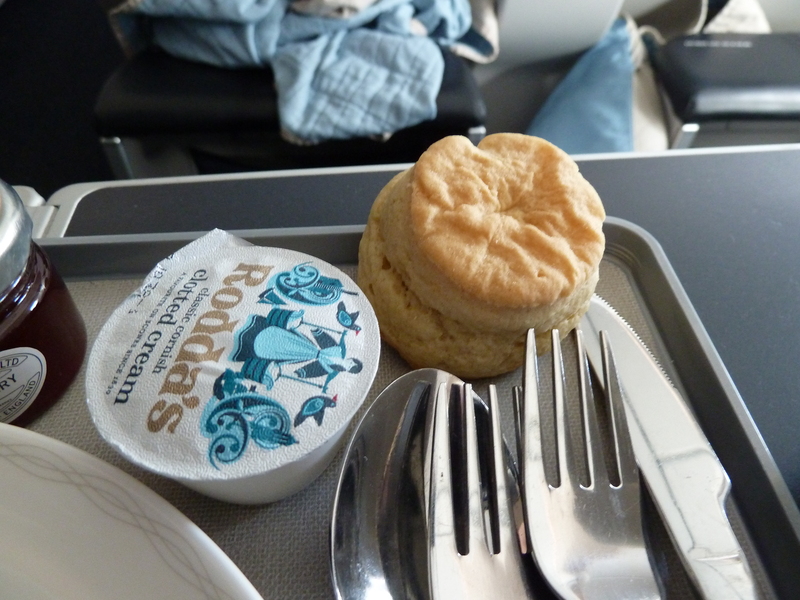 That’s when one of the flight attendants comes up to me and asks me what I’m taking all the pictures for. 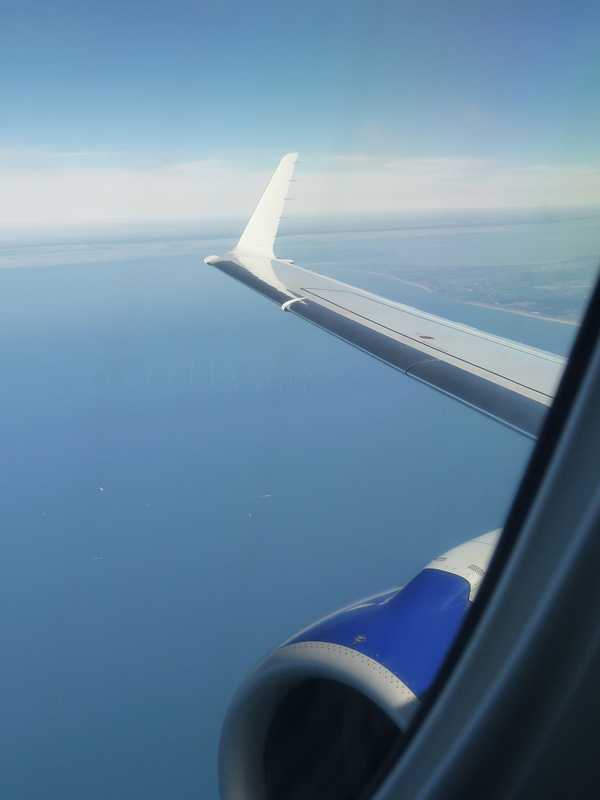 I explain what I do professionally, about Concorde and The Speedbird One. She listens and then she leaves. A few minutes later she returns to tell me the captain would like to meet me after we arrive. 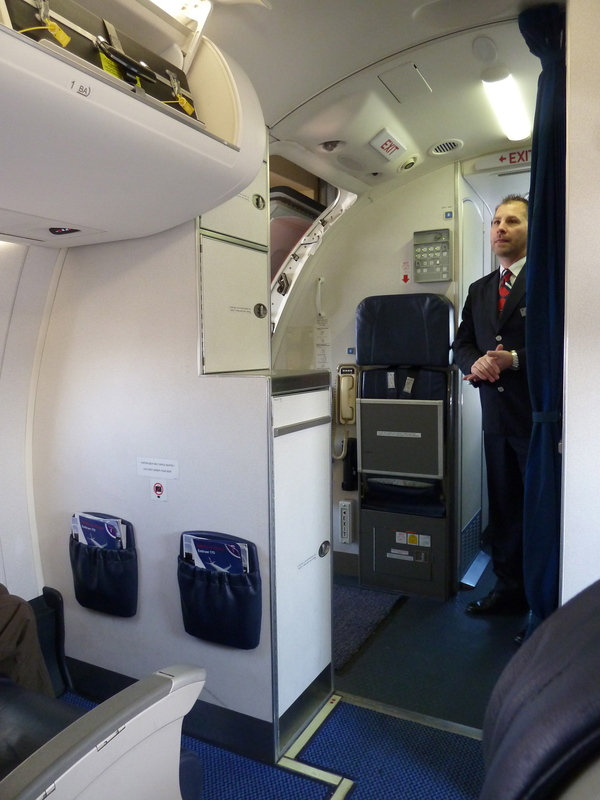 And indeed, when we do I’m the last passenger to deplane and as I do, the purser simply says ‘they’re expecting you’ and opens the door to the ‘office’ for me. That captain and co-pilot are very friendly and obviously very proud of ‘their’ aircraft. We chat very openly about their profession and mine and then, just as I turn to leave, the captain gives me the flight plan and a map of the North Atlantic with the route we took drawn on it. A souvenir he says, shakes my hand and wishes me Happy Easter. I deplane grinning inanely like some imbecile. How nice of him! 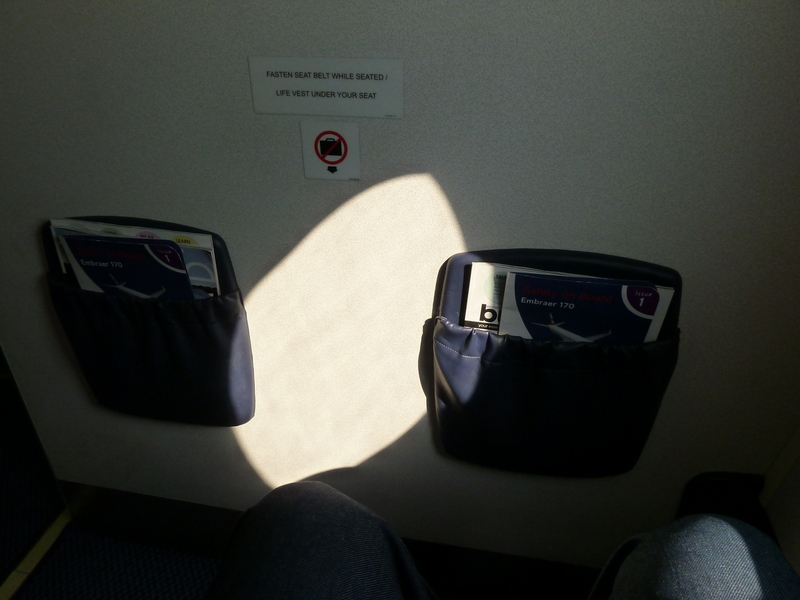 This is the kind of behaviour I witnessed with all the staff on the ground and in the air operating this flight. They were all very professional in their dealings with passengers and all displayed the same passion for their job and for this little airplane in particular. Admirable! 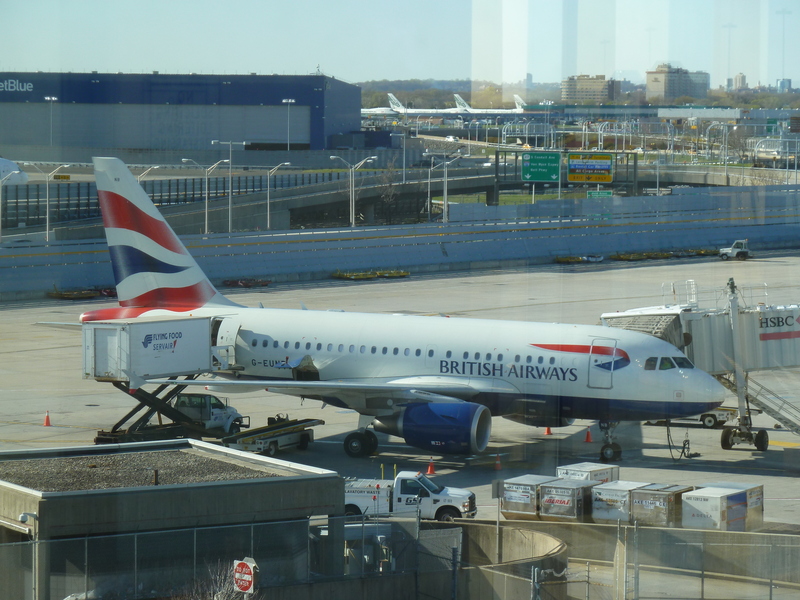 At JFK, British Airways operates its own terminal which it shares with some of its Oneworld partners, United and a few others. 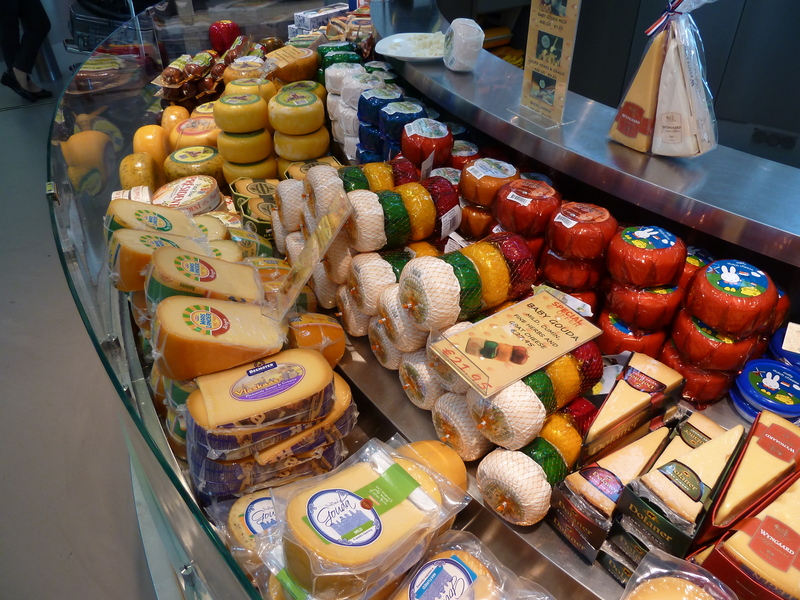 Having done immigration in Shannon, arrival in The States is a painless affair. Only 15 minutes after I deboard I’m on the air train taking me to Jamaica station, from where I take the Long Island Railroad into Manhattan. 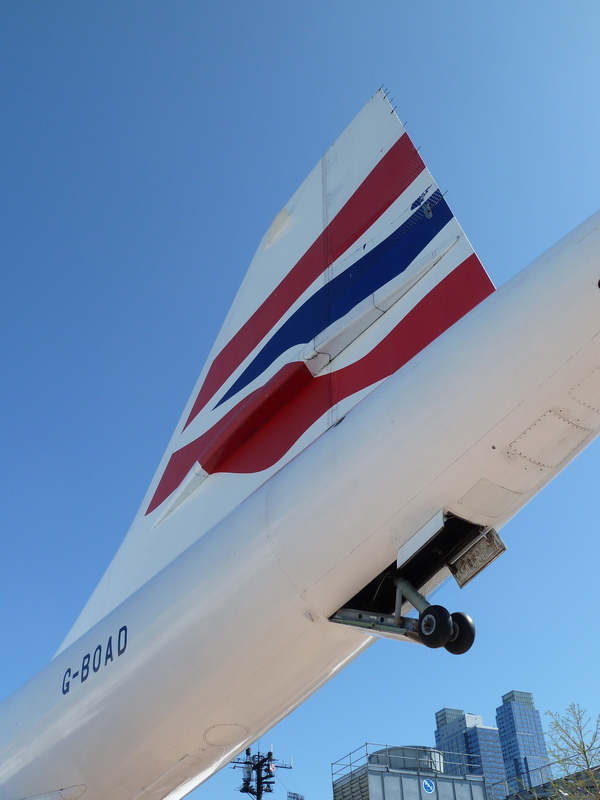 My visit to Concorde and the Intrepid museum was very cool. 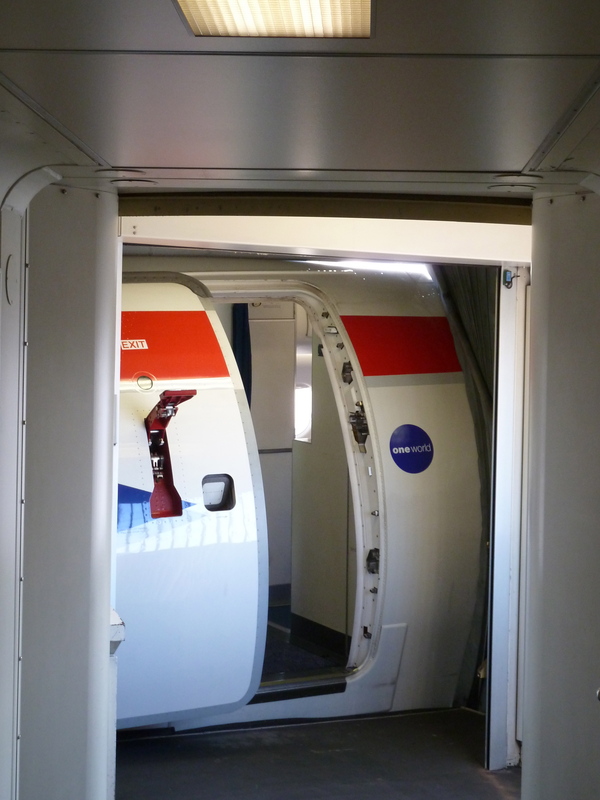 The tour of Concorde included a guided tour that even took us inside the aircraft to look around. The guide was a friendly enough sort, but not very knowledgeable about Concorde. But I didn’t mind, as I had only made the journey to see her again up close and personal. 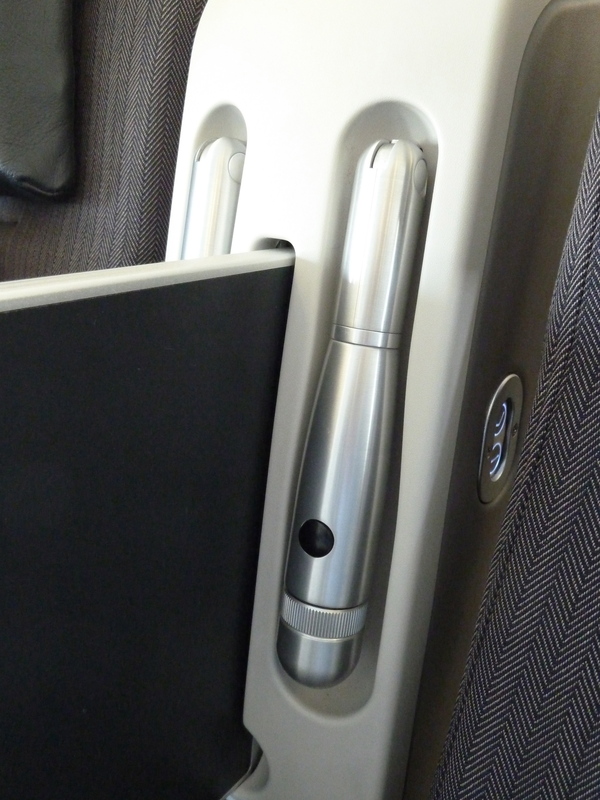 This entry was posted in Airbus A 318, British Airways, Business Class and tagged airlines, aviation, business class seat, transportation, travel, vacation. Bookmark the permalink.